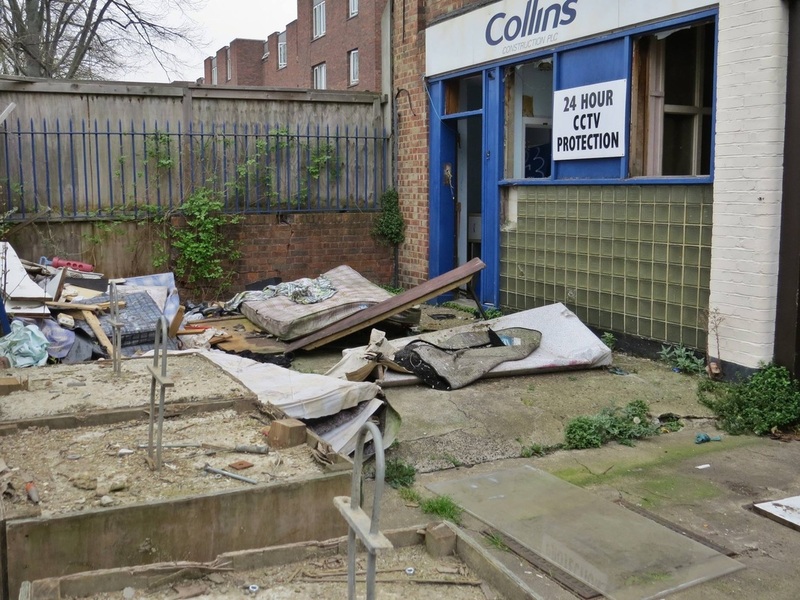 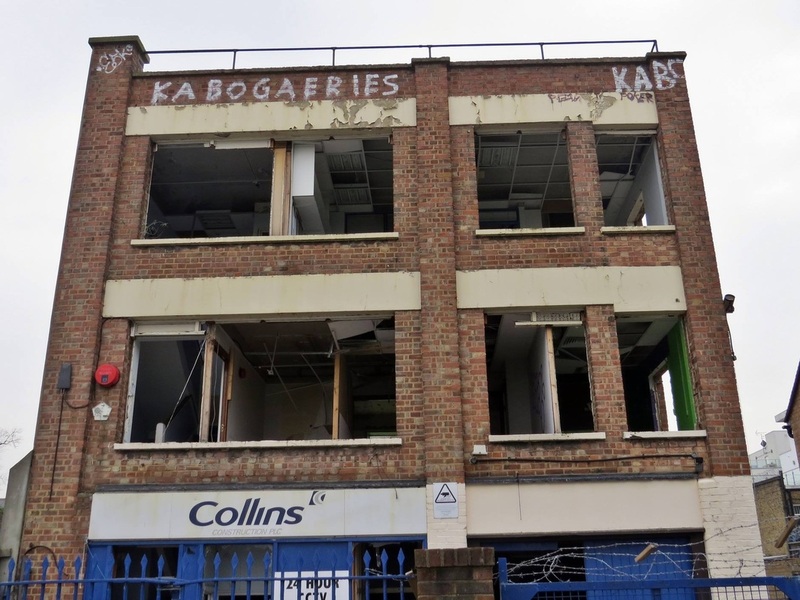 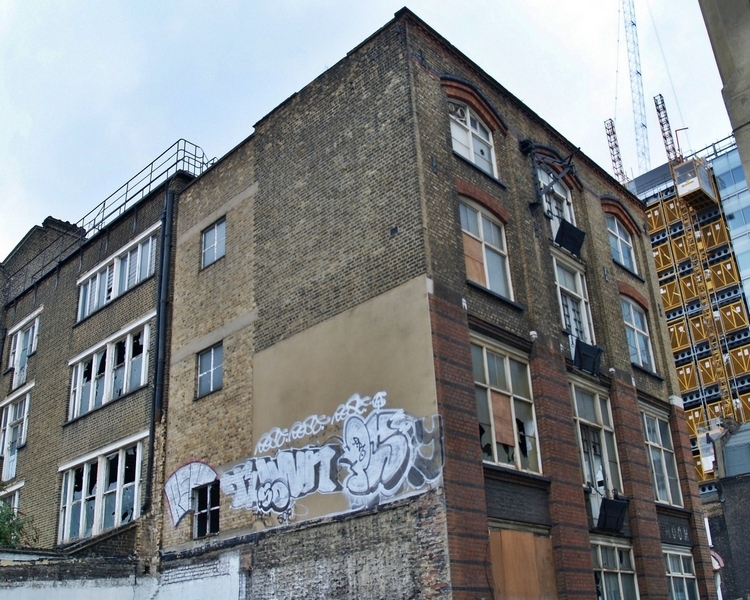 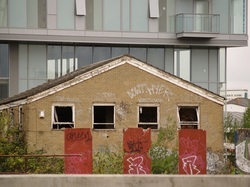 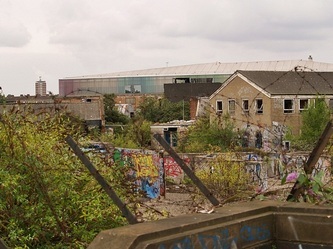 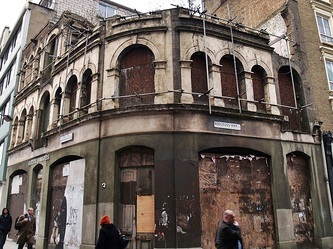 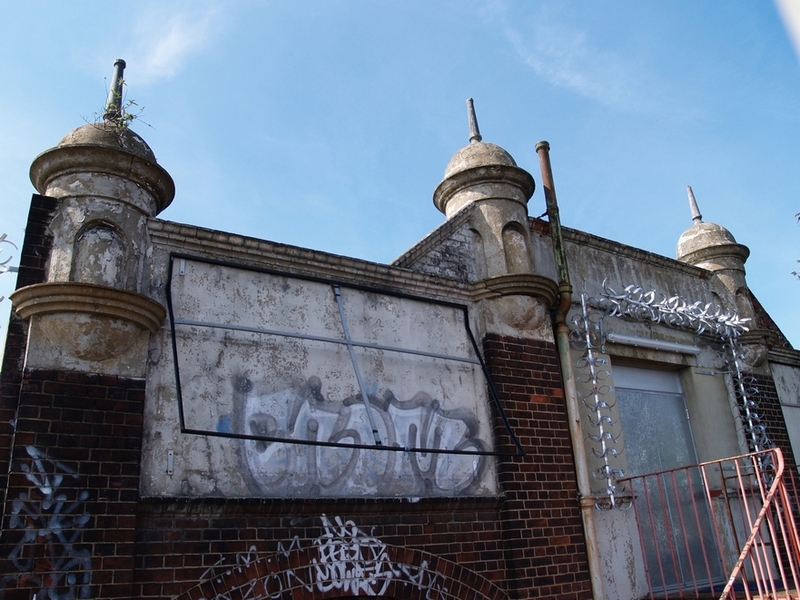 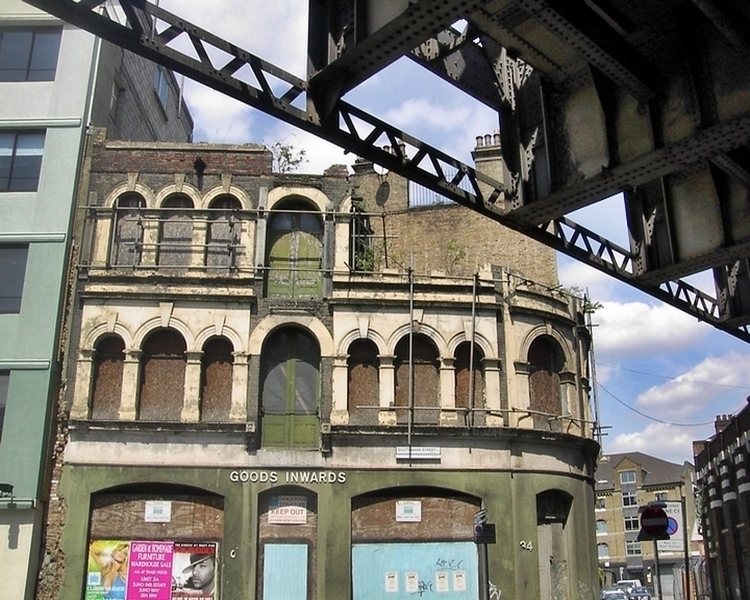 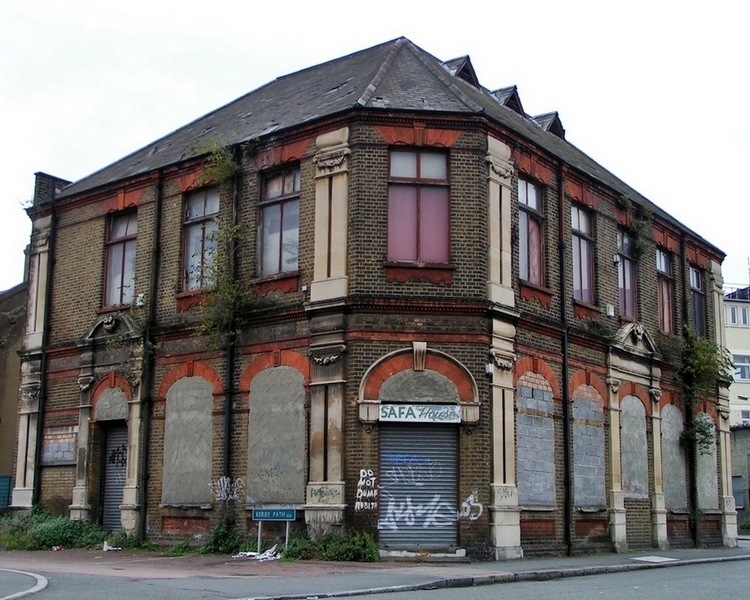 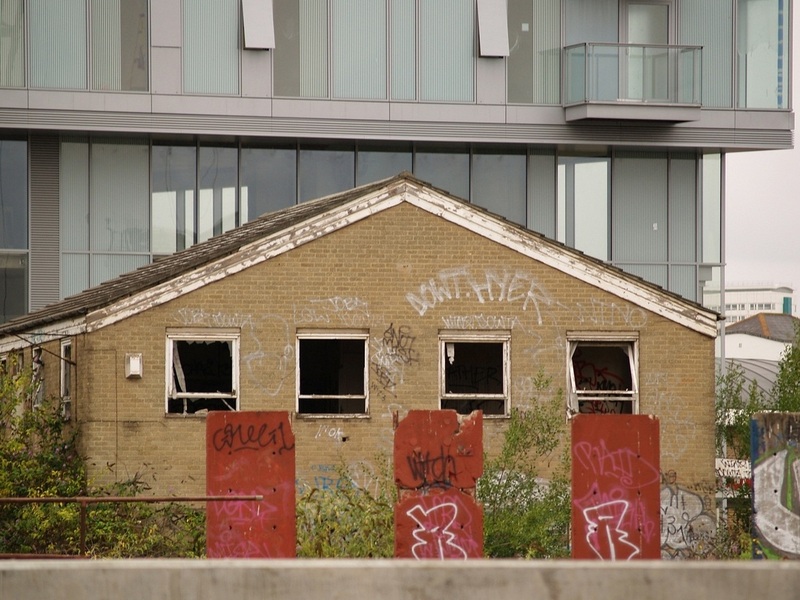 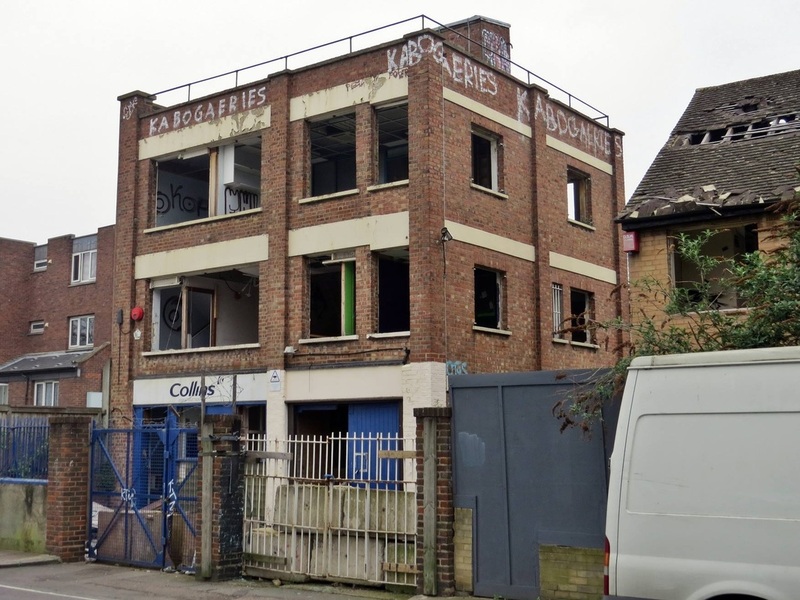 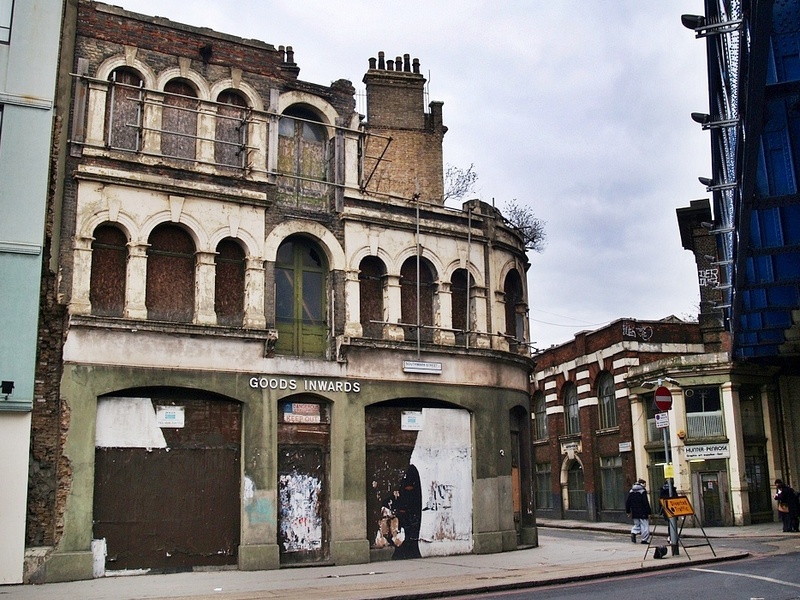 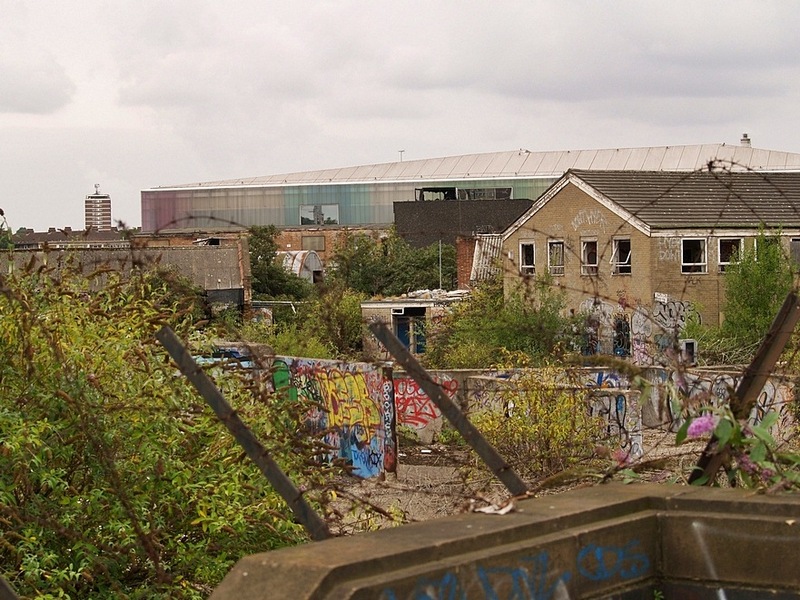 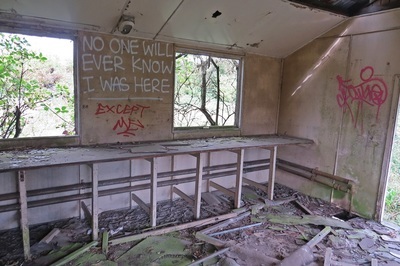 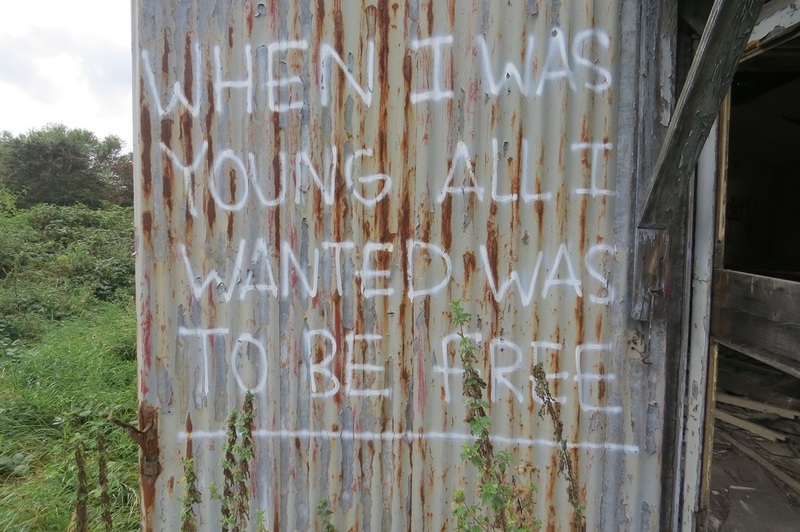 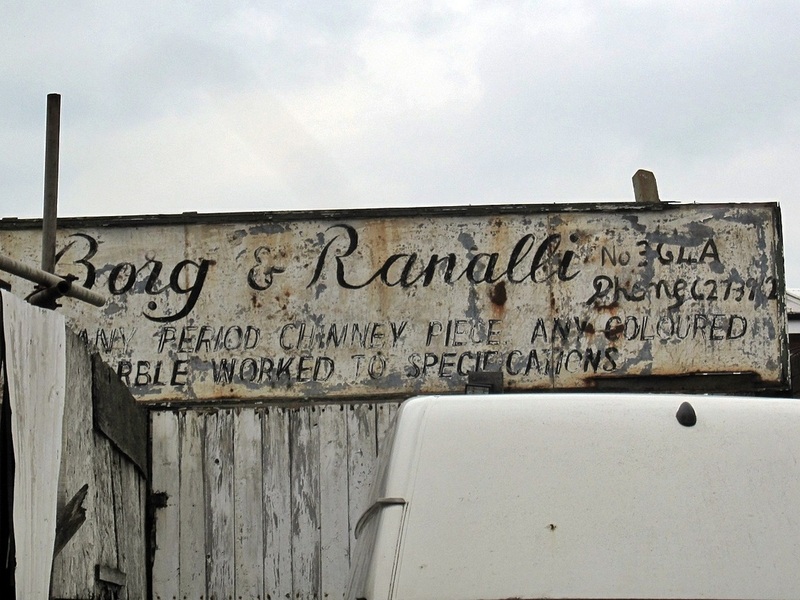 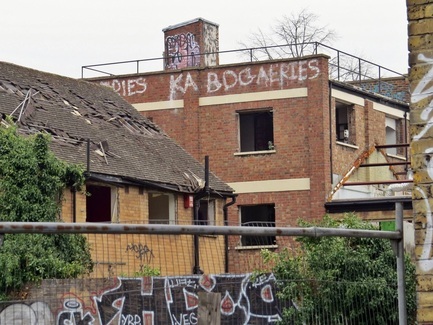 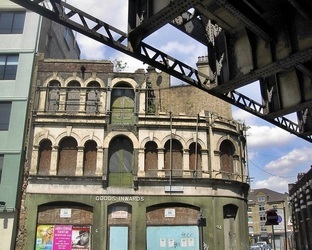 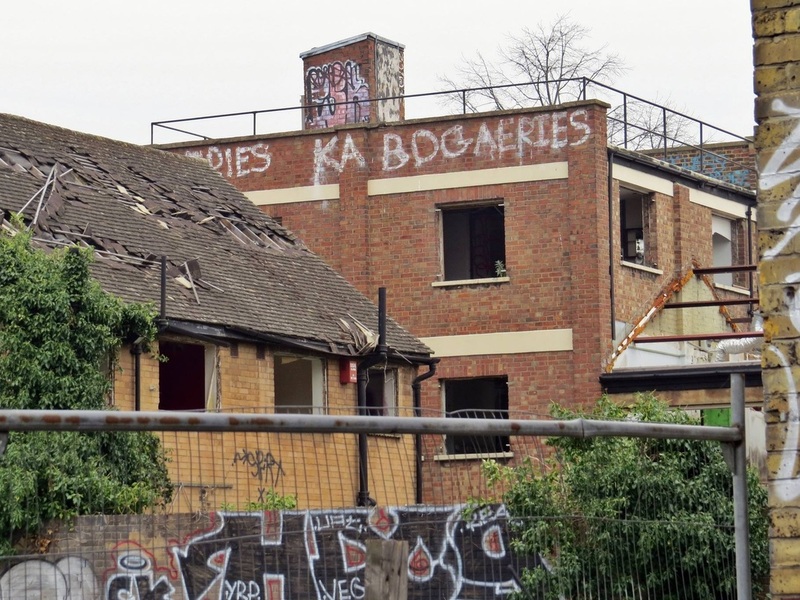 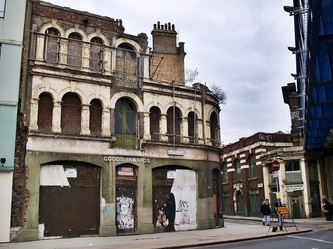 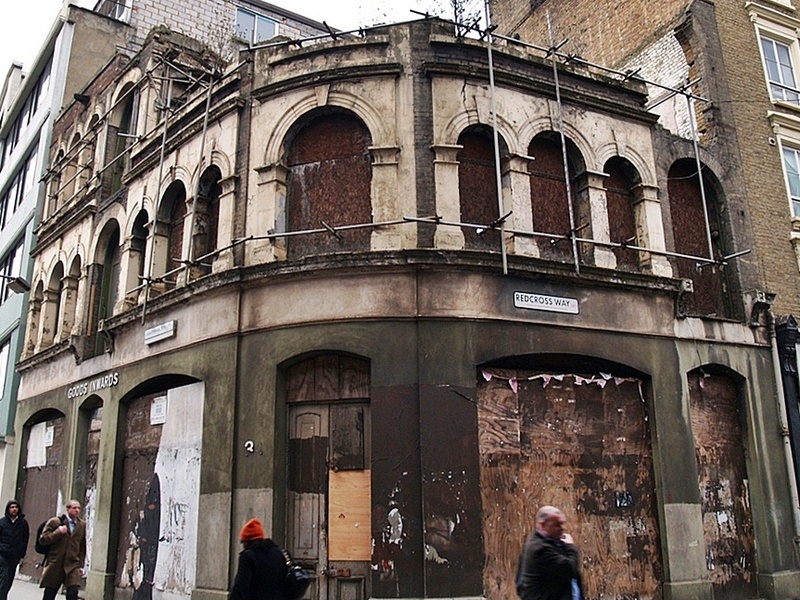 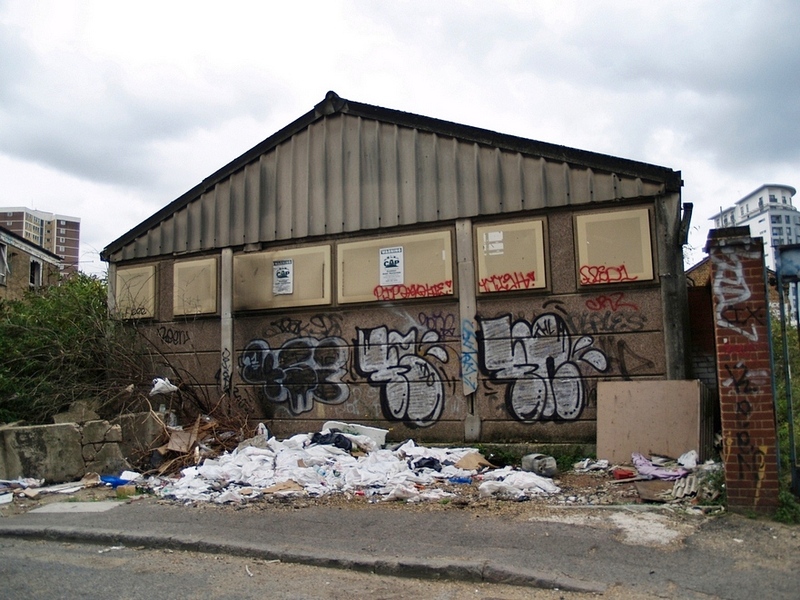 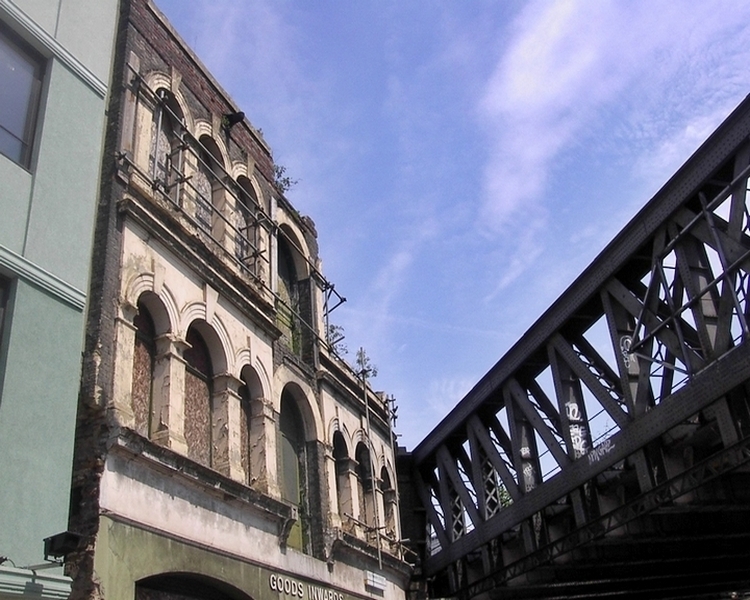 Youngs was covered in my Derelict London book a few years ago. 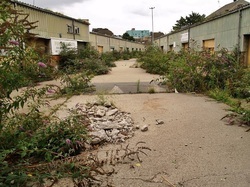 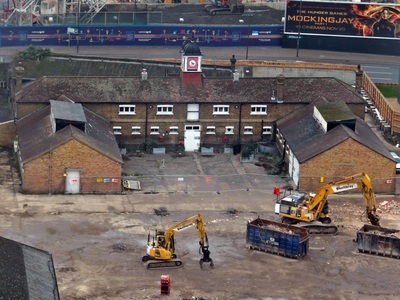 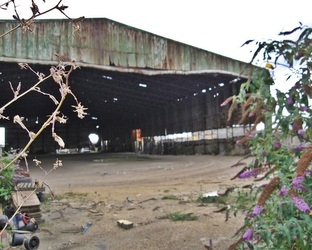 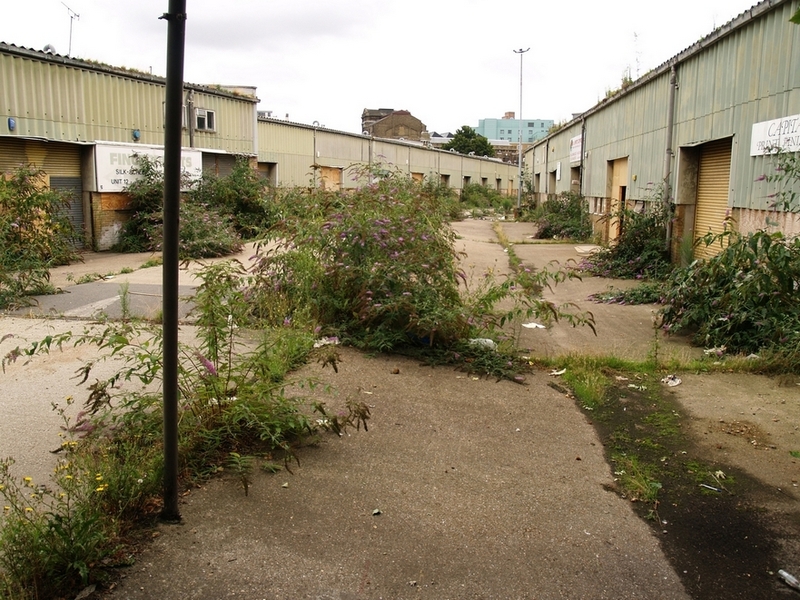 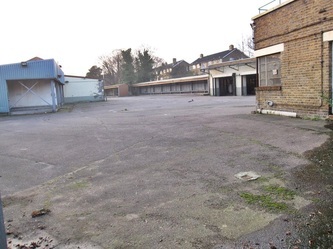 Since then the site lay empty apart from being used for the odd tv/film set location. 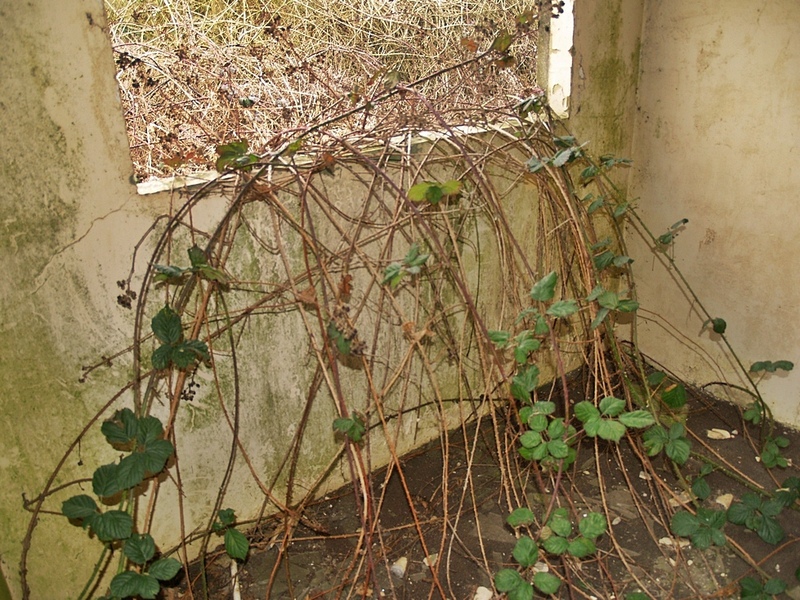 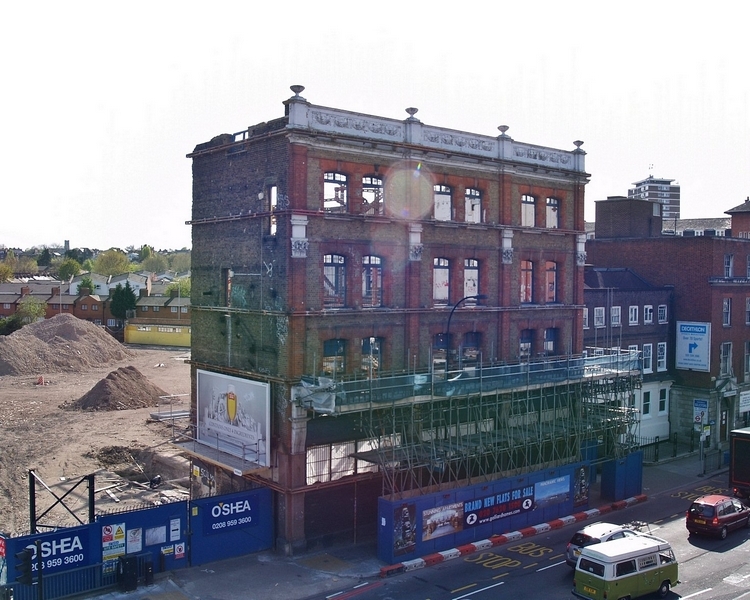 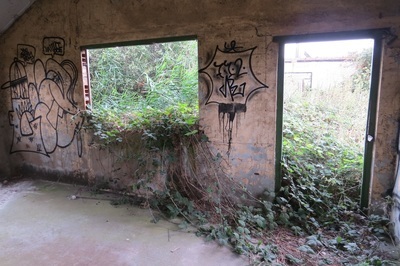 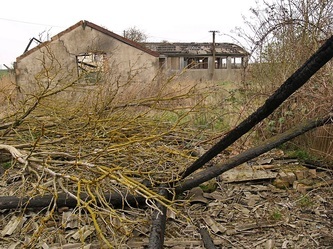 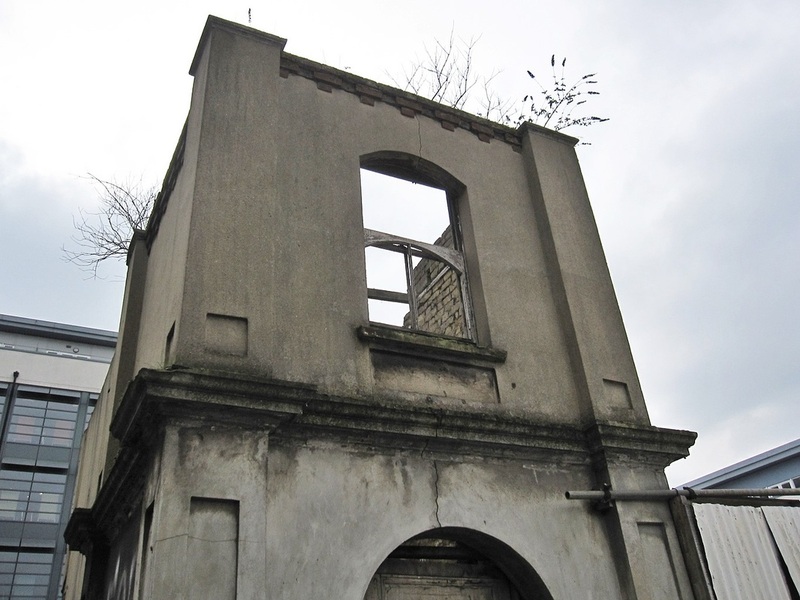 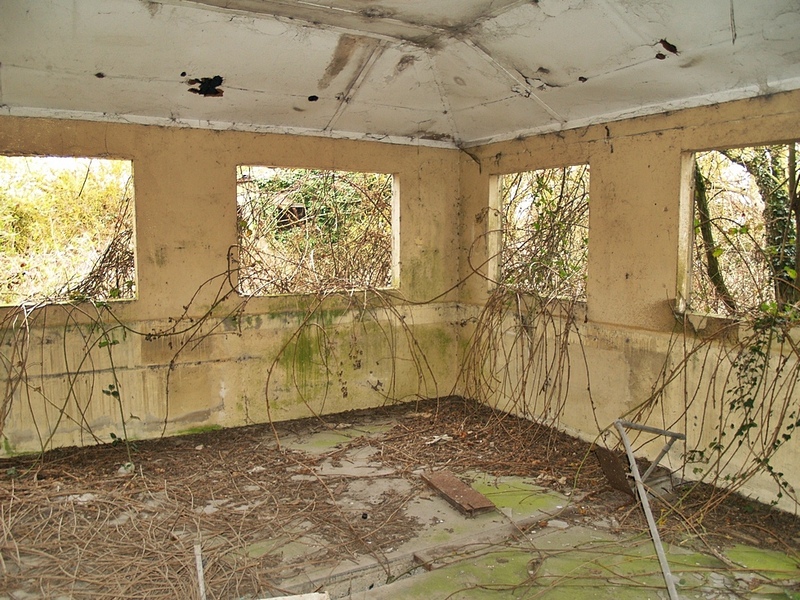 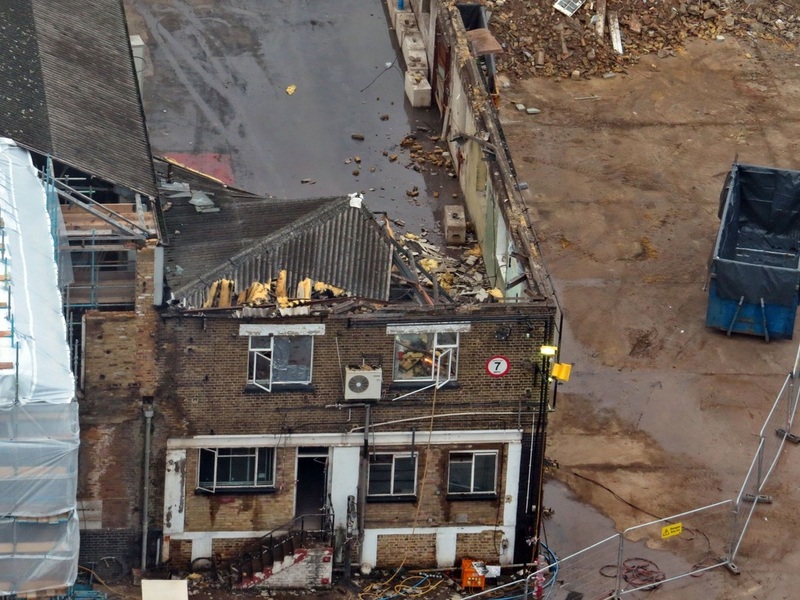 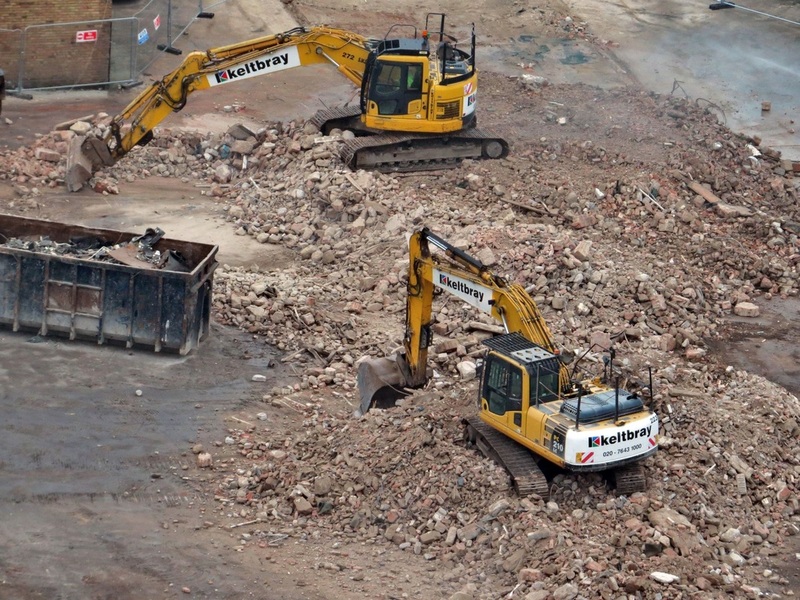 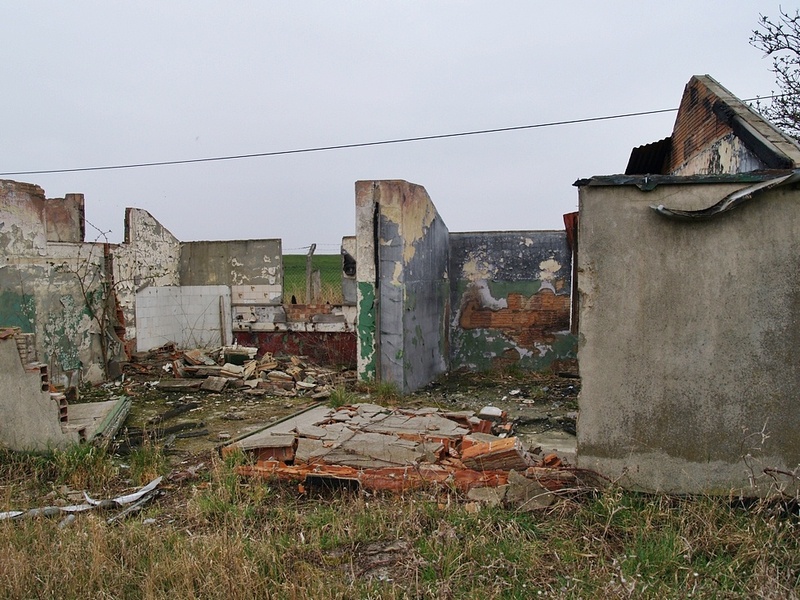 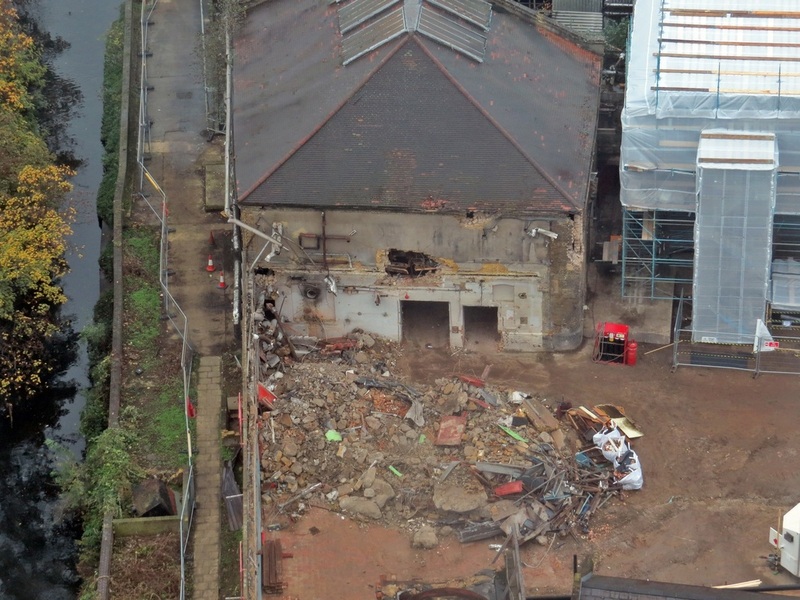 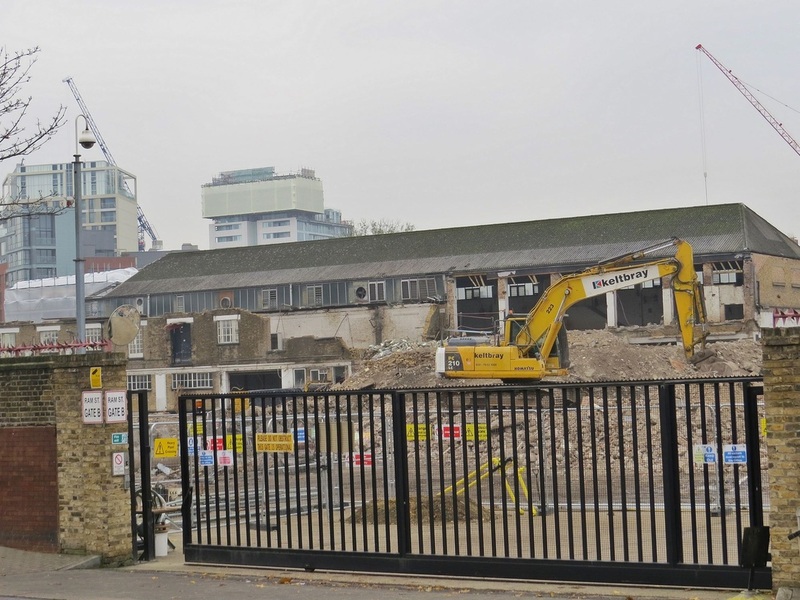 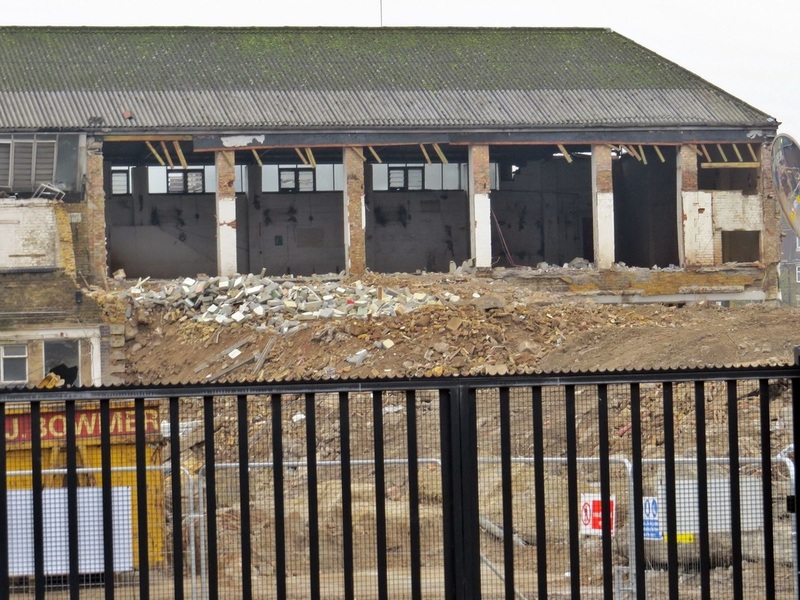 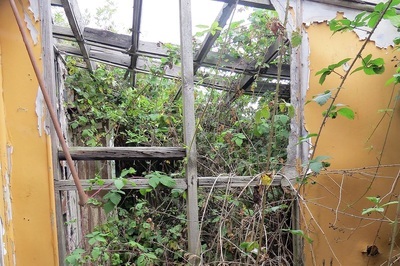 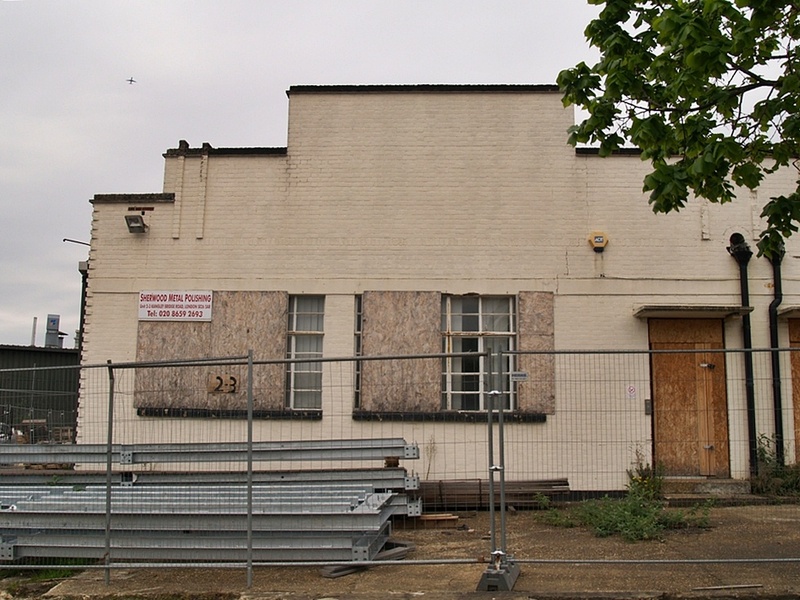 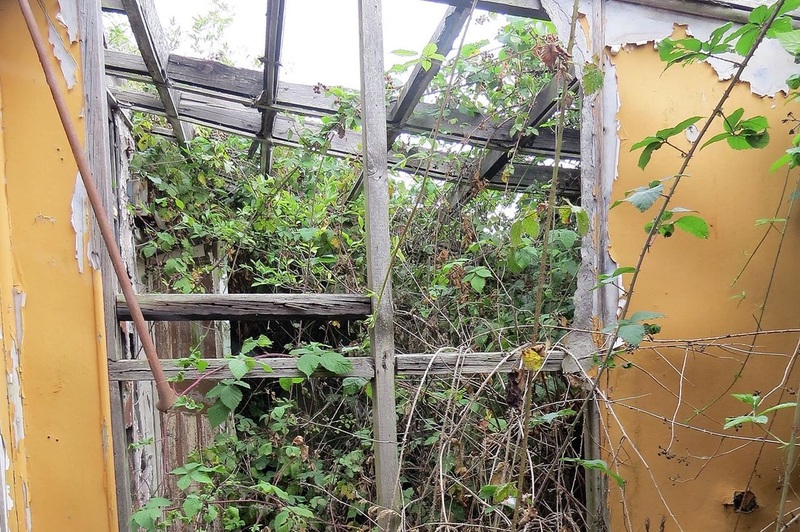 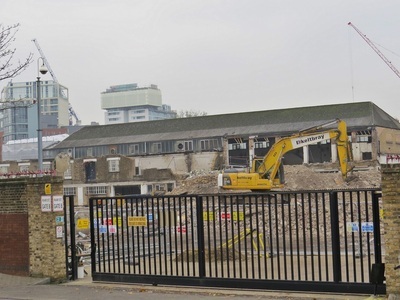 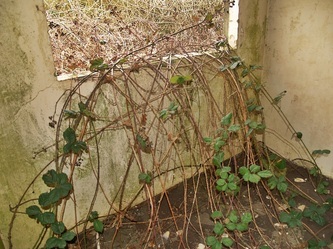 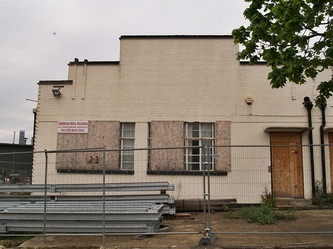 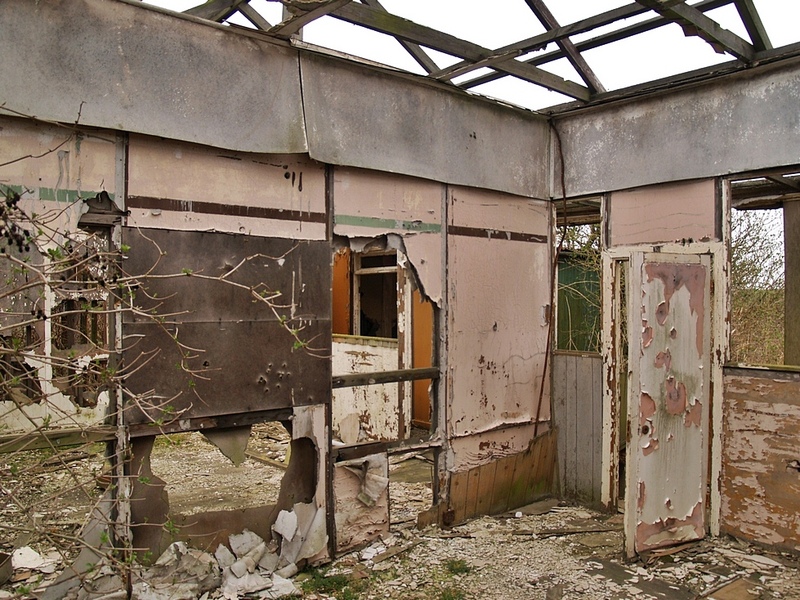 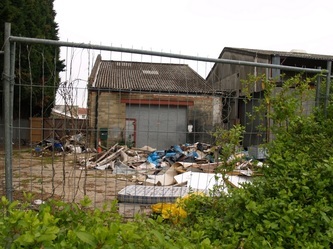 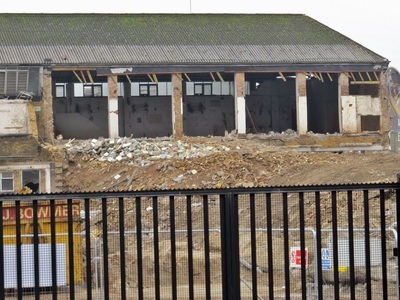 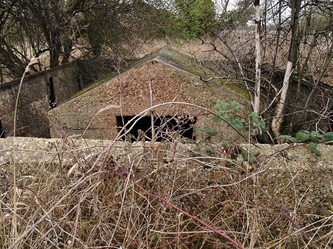 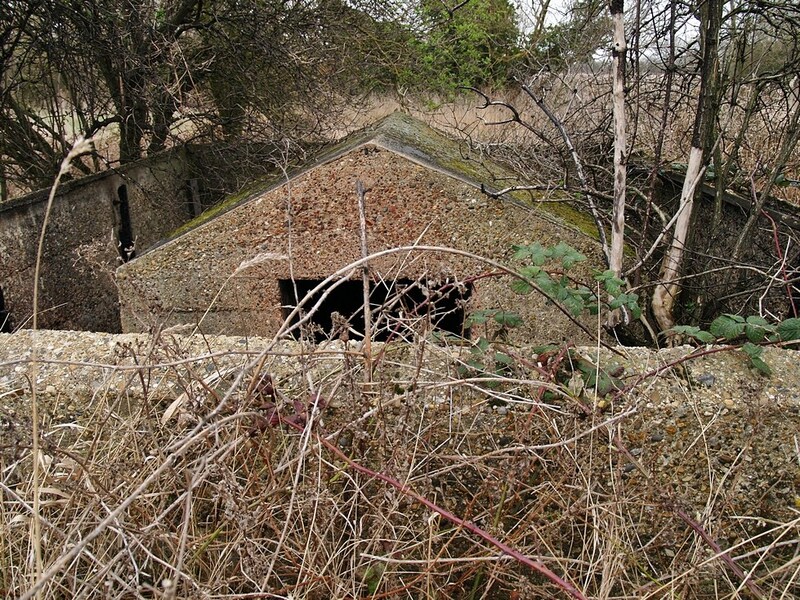 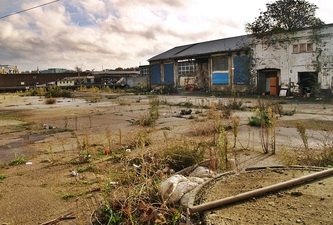 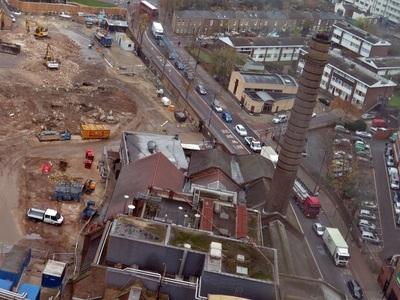 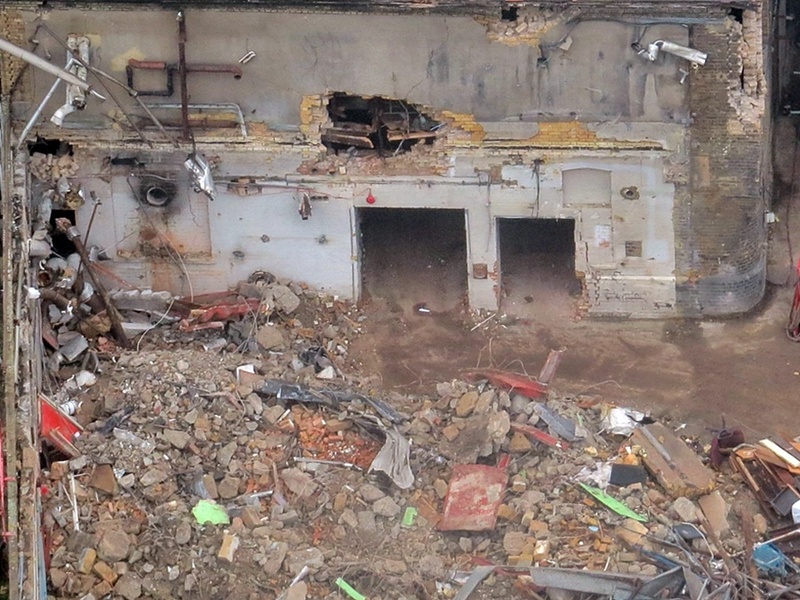 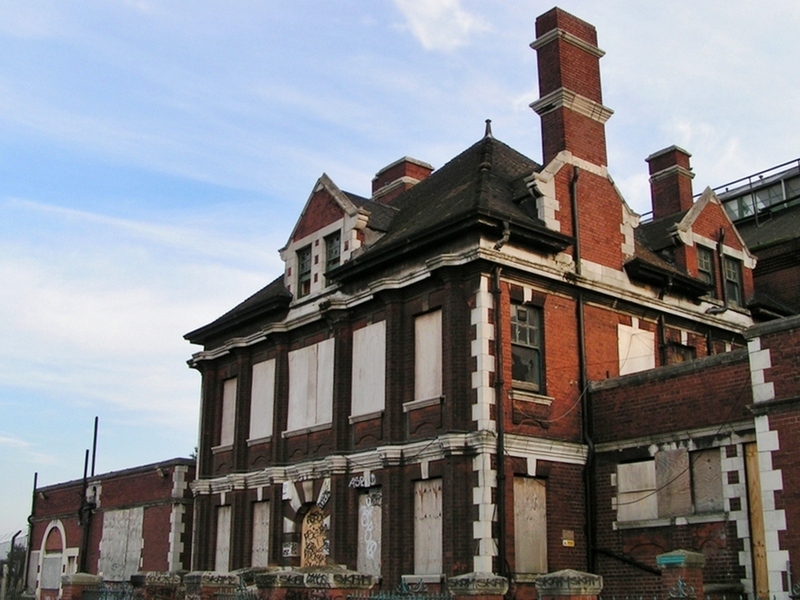 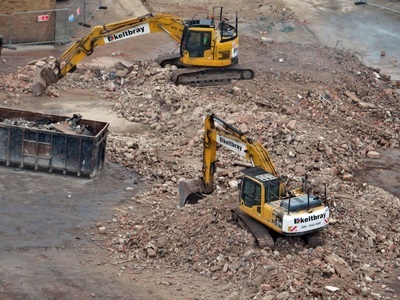 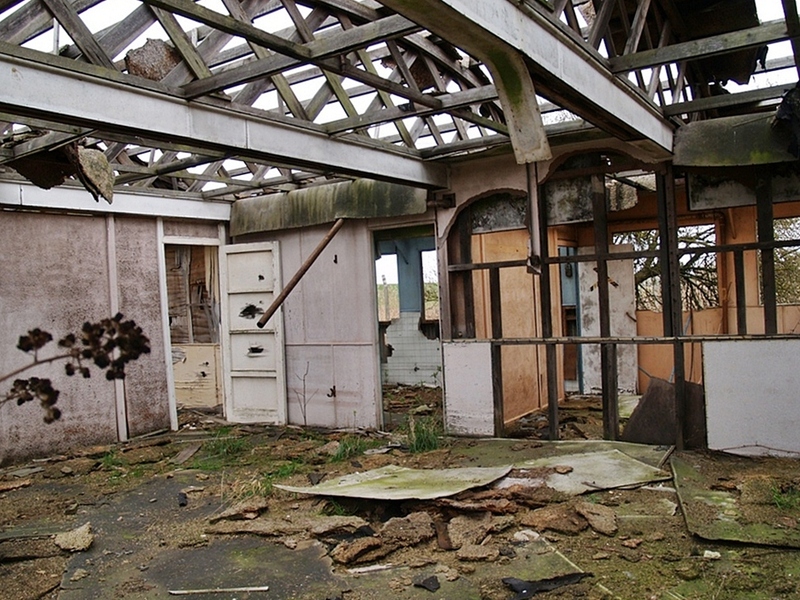 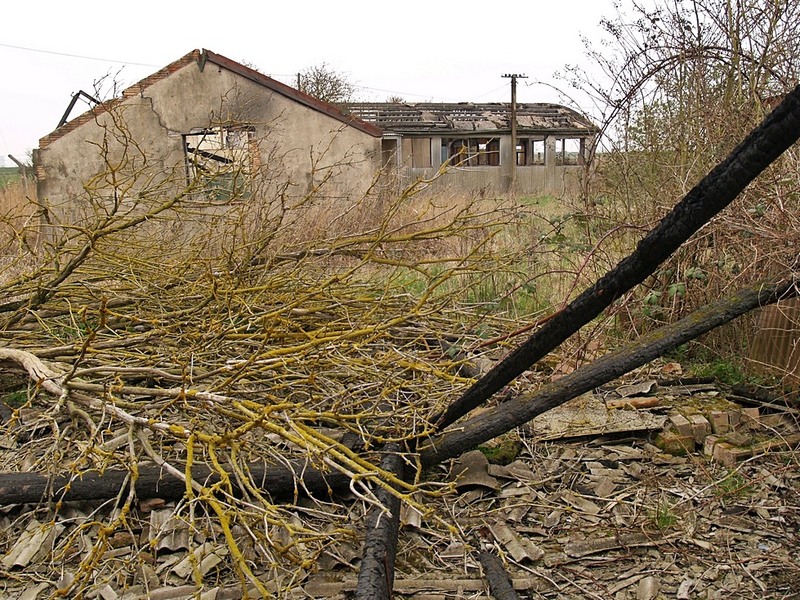 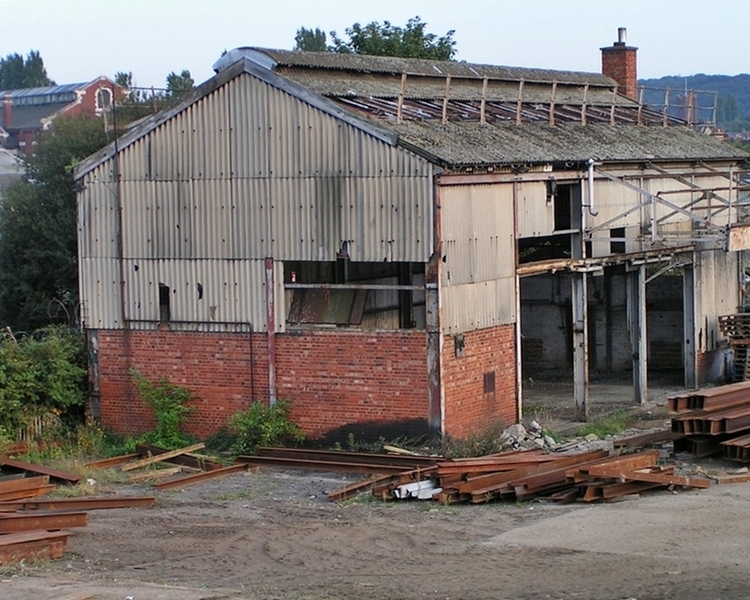 Autumn 2014 has seen demolition of much of the site.The remainder is listed so will be incorporated into a new development. 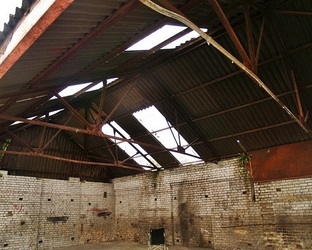 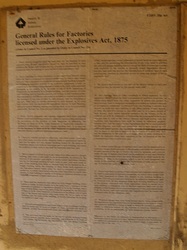 The earliest records of brewing on this site date back hundreds of years but in recent times its cramped location, and the fact that the local authority expressed an interest in acquiring and developing the land it stood on, prompted the brewery to consider its options, and in 2006 the decision was made to sell up and move to Bedfordshire. 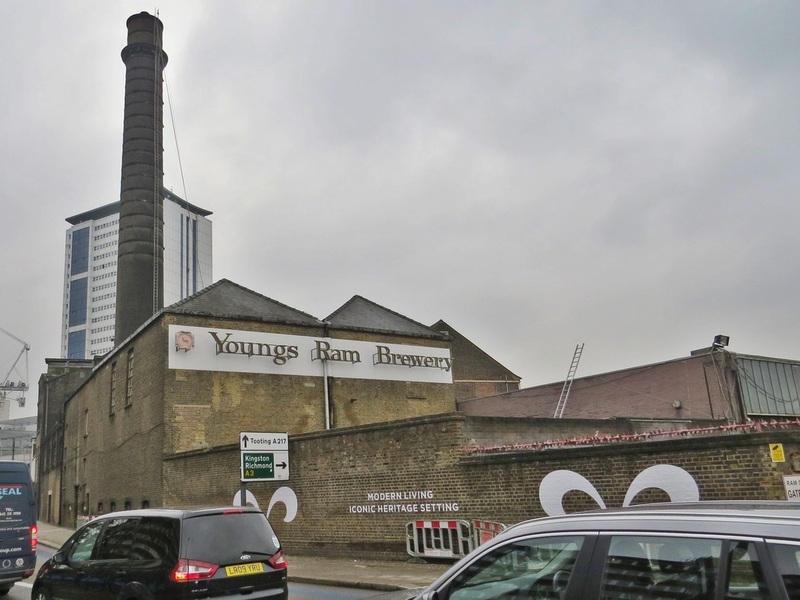 Chairman John Young died just days before the brewery closed, and its final brew was served at his funeral. Until the brewery closed, horses and drays were still used to deliver beer to local pubs and the site was home to a live ram and a flock of geese. In early 2014 Chinese property developer Greenland Holdings Group bought the site which has an investment value of £600m and is to be turned into 661 new homes, including a 36-floor building with 166 flats, and 9,500 square metres of shops, cafés and restaurants. 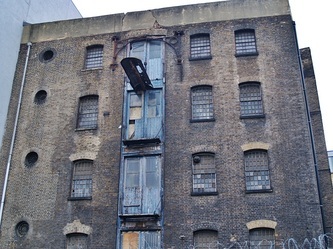 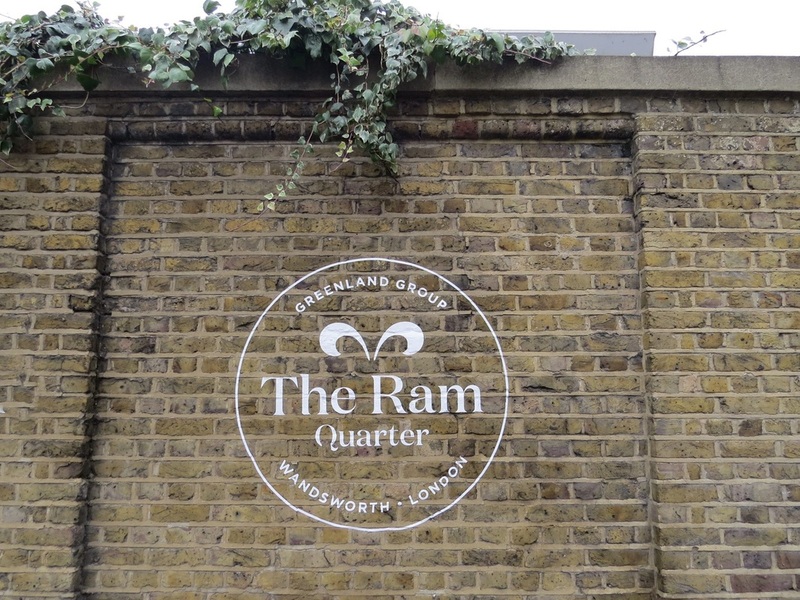 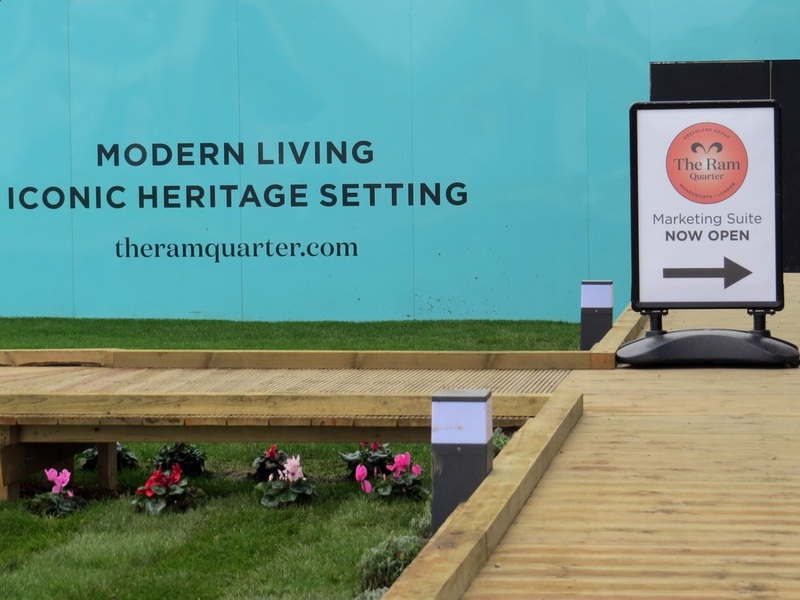 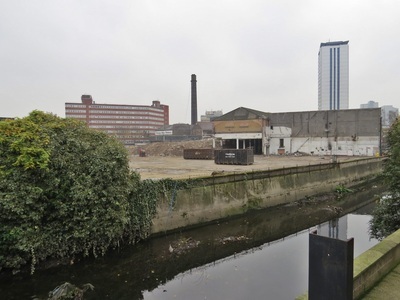 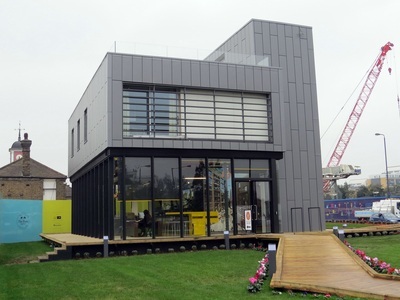 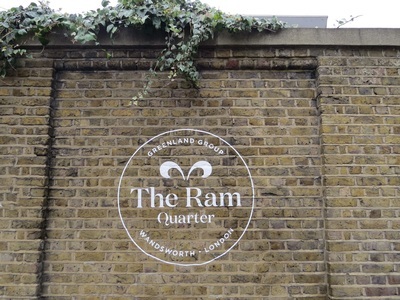 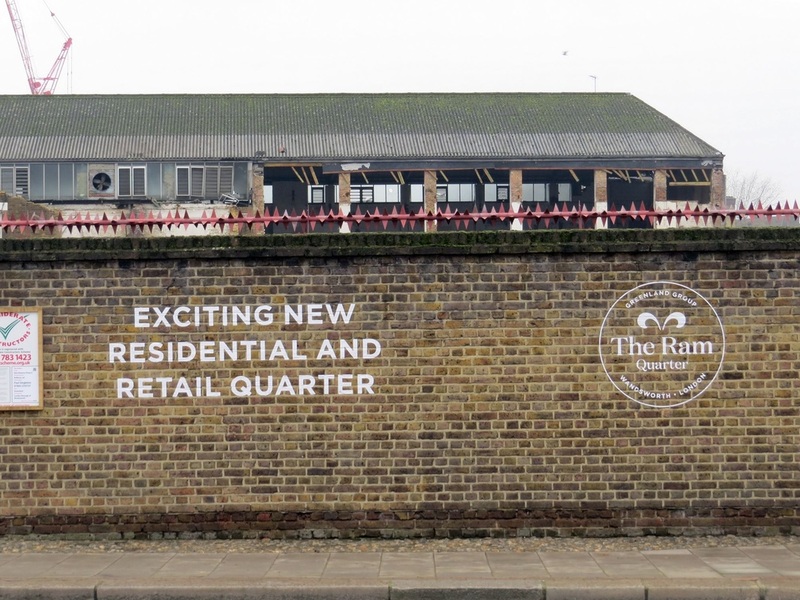 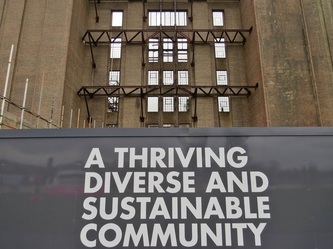 The site will also house a brewing museum and a microbrewer.The Guardian reported in January 2014 "Critics of the London property development have argued that new luxury riverside apartments purchased by foreign buyers do nothing to ease the city's housing shortage." Jann Pruden writes to Derelict London: "I was delighted to see a photo of Youngs Brewery.My Sister taught at Wandsworth Tech College ,we loved watching the Young's horses I believe they were Clydesdale the drivers in their bowler hats wrapped up to keep warm. I am thankful for giving me a glimpse into the past. 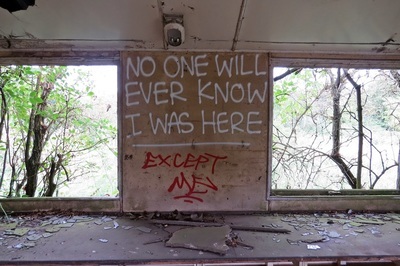 I have resided in San Diego CA And,Scottsdale Arizona,for the,past 40 years , I'm in the,process of writing memories of life my life especially the War years for my Grandchildren". 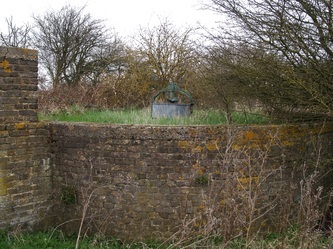 I first visited this site in early 2012 so its time for some updated photographs and information as the site continues to become more dilapidated. 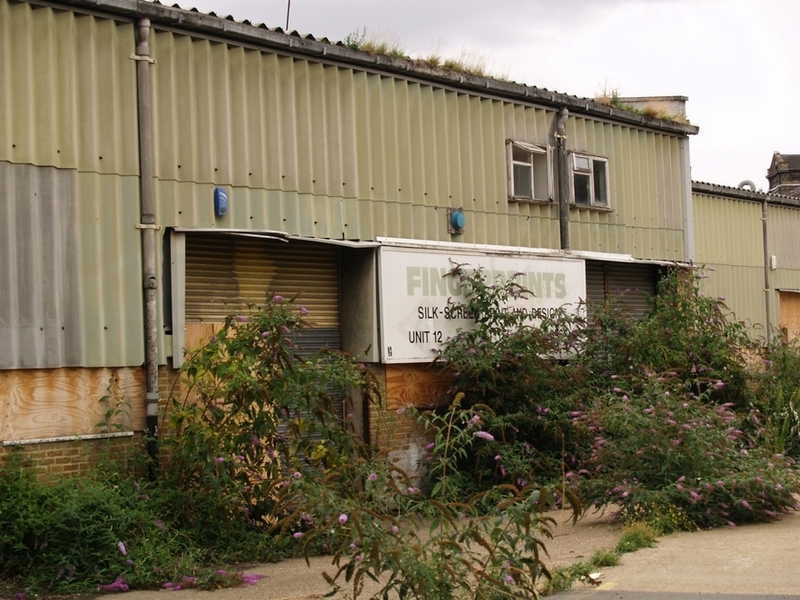 Wells Fireworks was founded by Joseph Wells in the 1830s having learned his trade as an explosive lighterman on the River Thames based at Millwall. 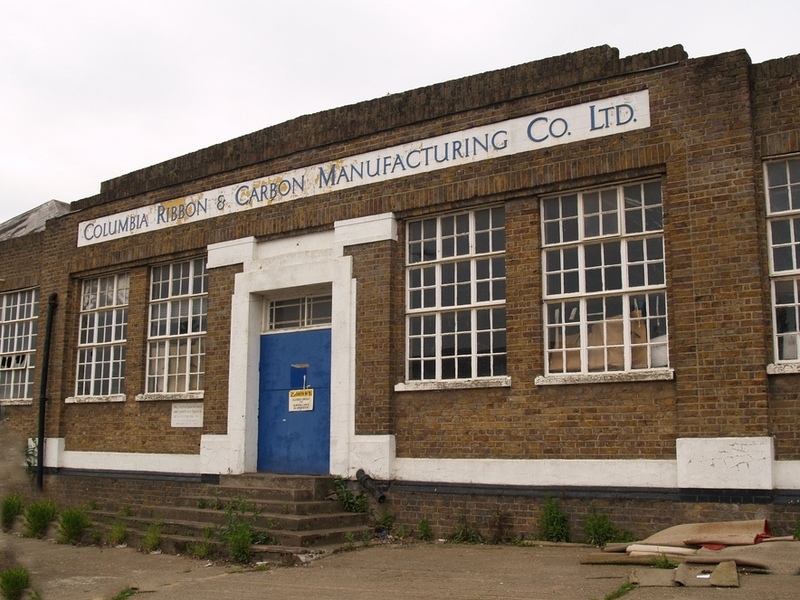 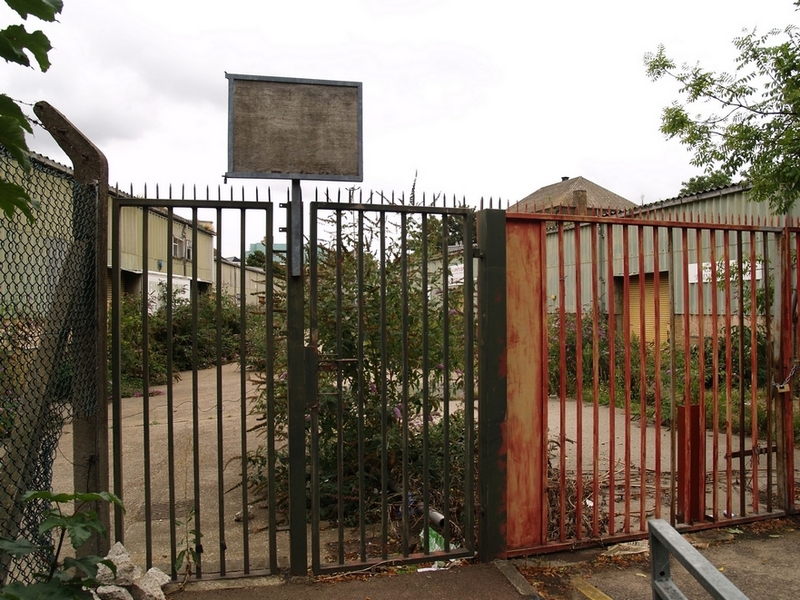 He had factories in Earlsfield,Honor Oak Park & Colchester and by 1941 amalgamated the factories by relocating to this site in Dartford. 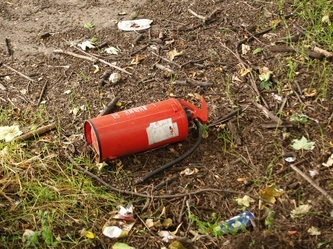 Due to the war the factory was producing signa rockets and flares. 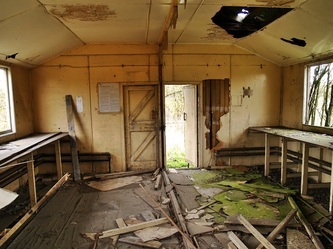 A V1 flying bomb exploded at the entrance gates destroying the office but fortunately caused no injuries. 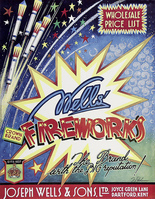 Wells Fireworks quickly became the leading display company in the UK and established a reputation for the manufacture and display of the finest quality fireworks. Using the Wells “Crown Brand” the company displayed at Cowes and Henley Regattas, Coronations and Jubilees to the Royal Family. 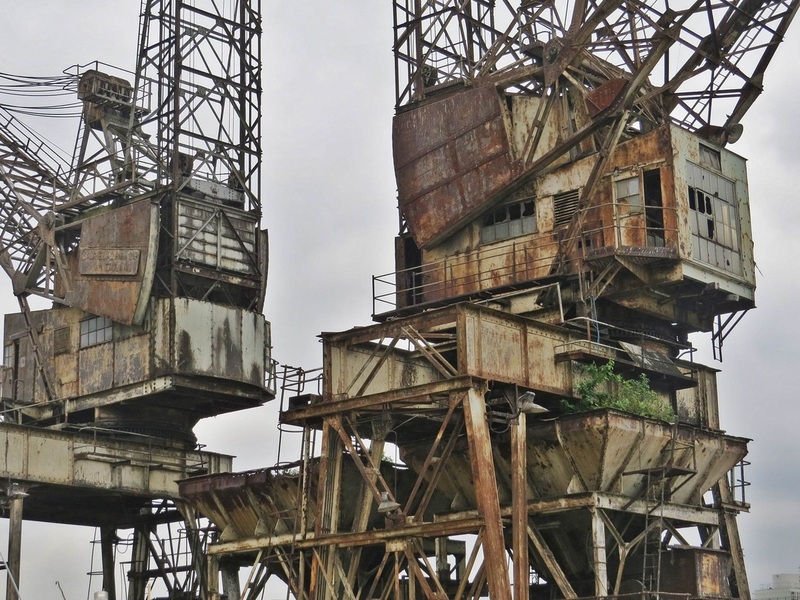 Securing an international reputation for excellence this led to high value commissions including the LA Olympics, the Squaw Valley Winter Olympics, Rose Bowl displays and designing the original fireworks shows for Disneyland in Florida. 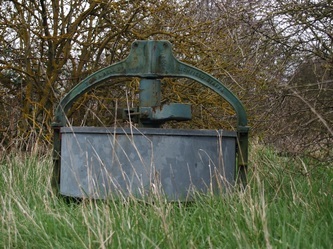 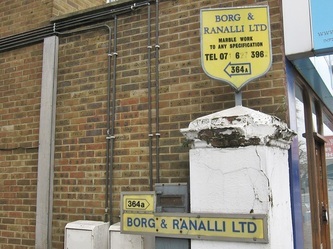 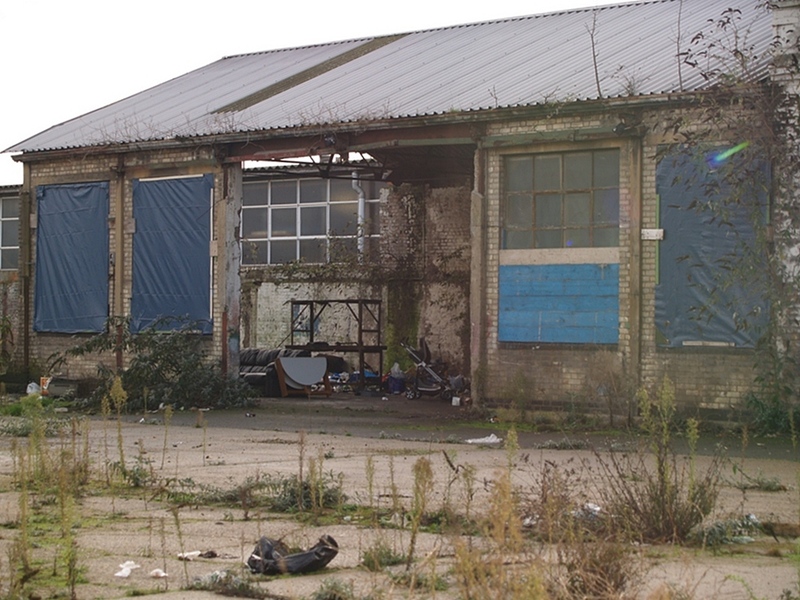 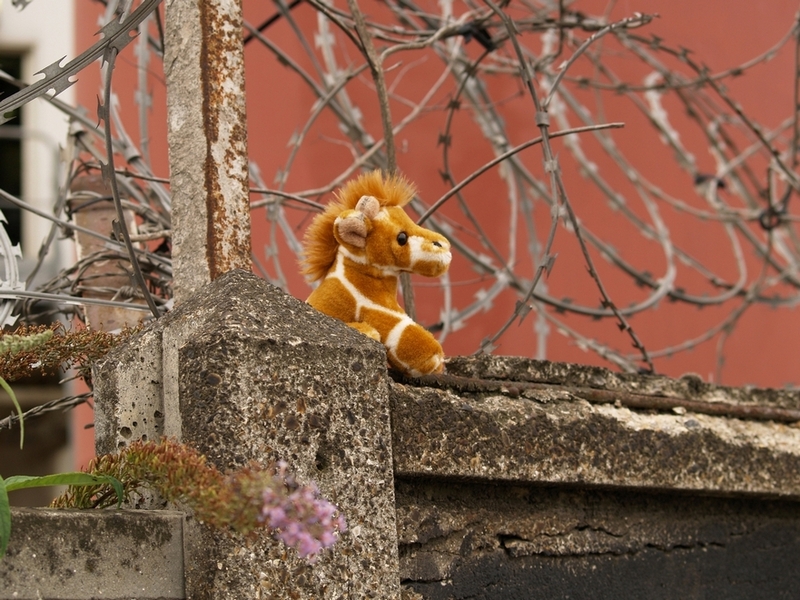 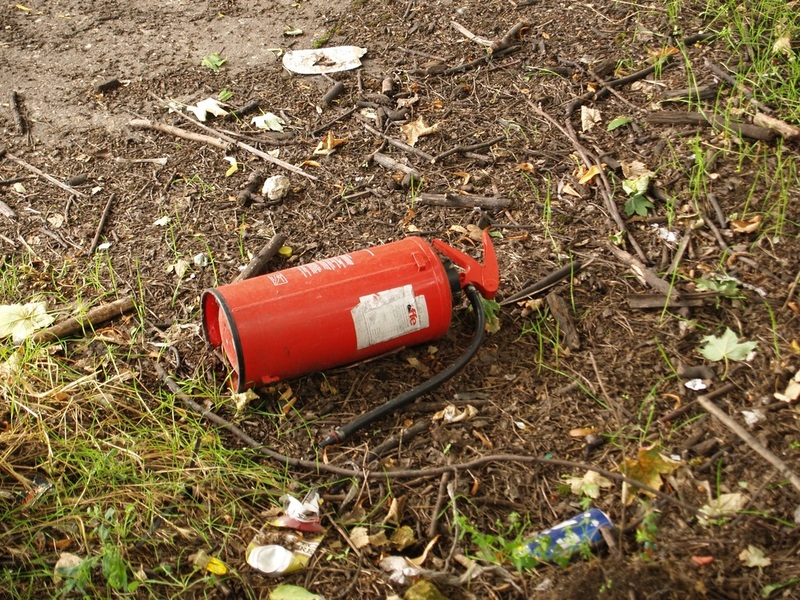 Due to competition from cheap Chinese imports, Wells was forced to vacate its manufacturing plant in Dartford. 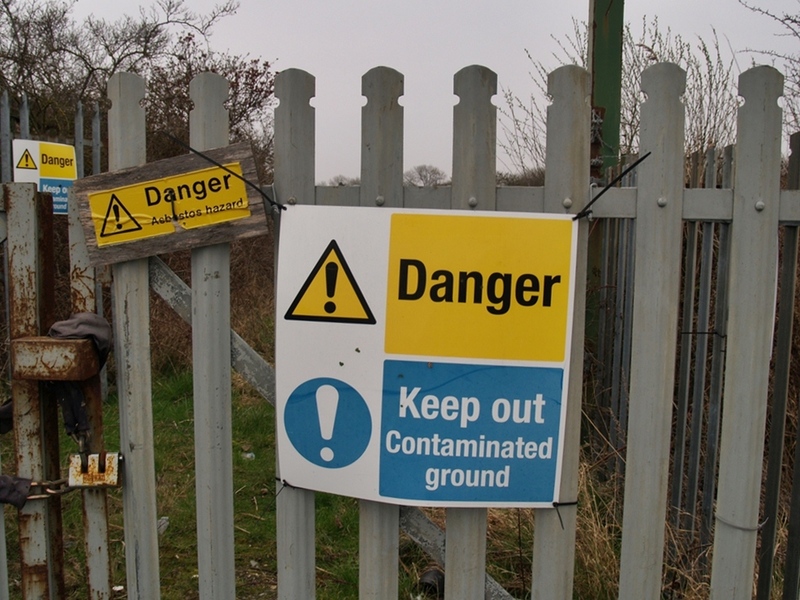 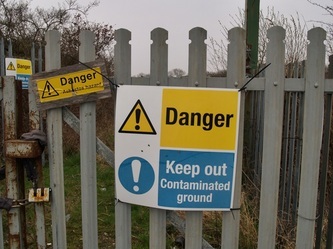 Led by Stuart Orr, a chemist at the plant, some of the employees took the Wells brand and moved the entire operation to West Sussex. 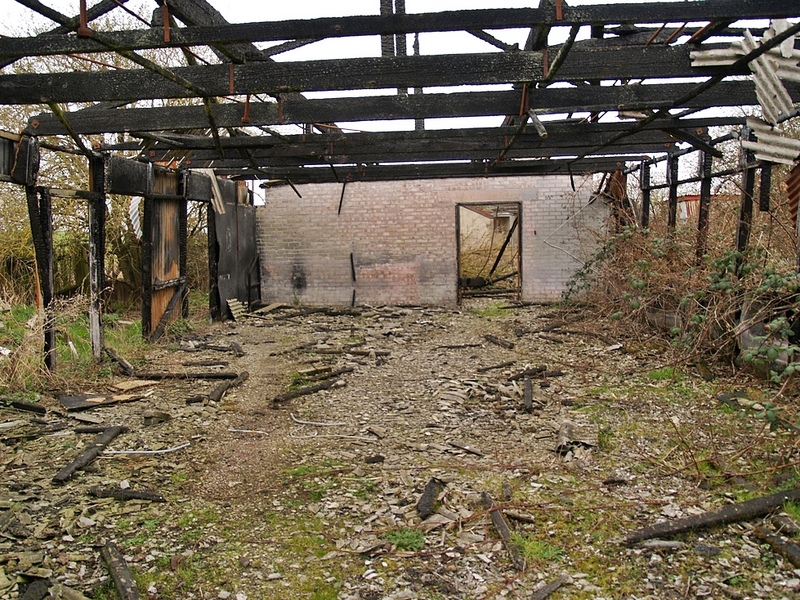 Specialising in close proximity stage pyrotechnics for the entertainment industry, Wells continued its reputation for excellence and supplied to most of the UK’s leading fireworks companies.In 1976 the Dartford site was used by Pains-Wessex then Unwins Pyrotechnics and finally Astra Fireworks who closed the site in 1992. 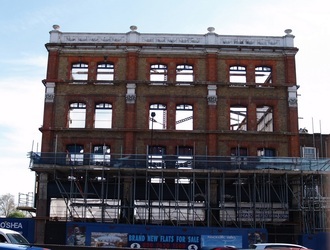 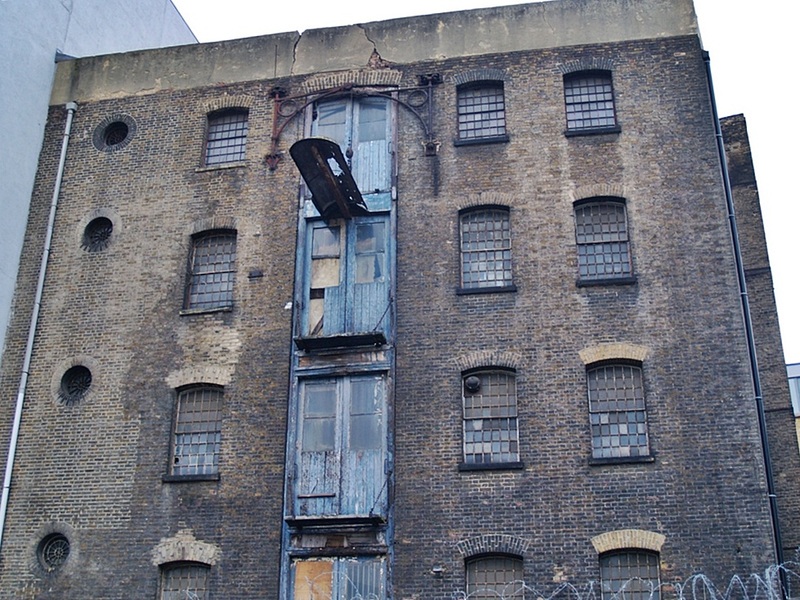 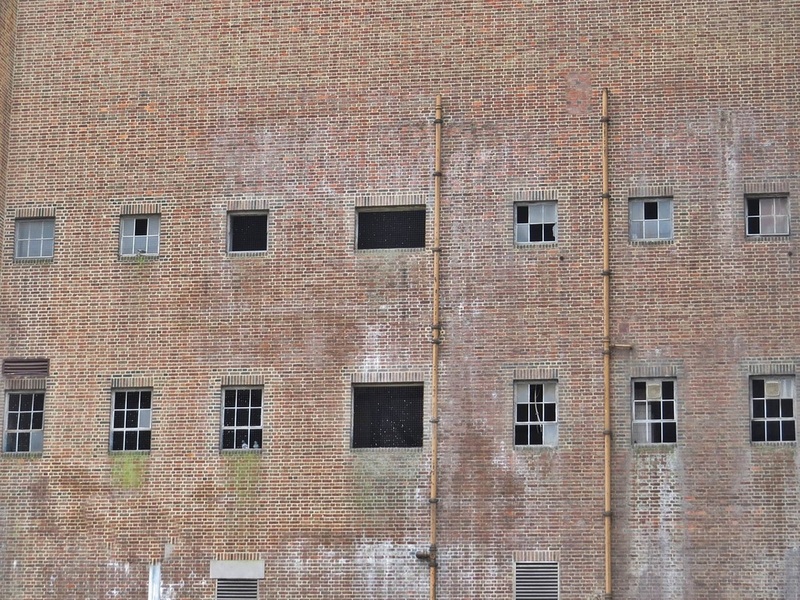 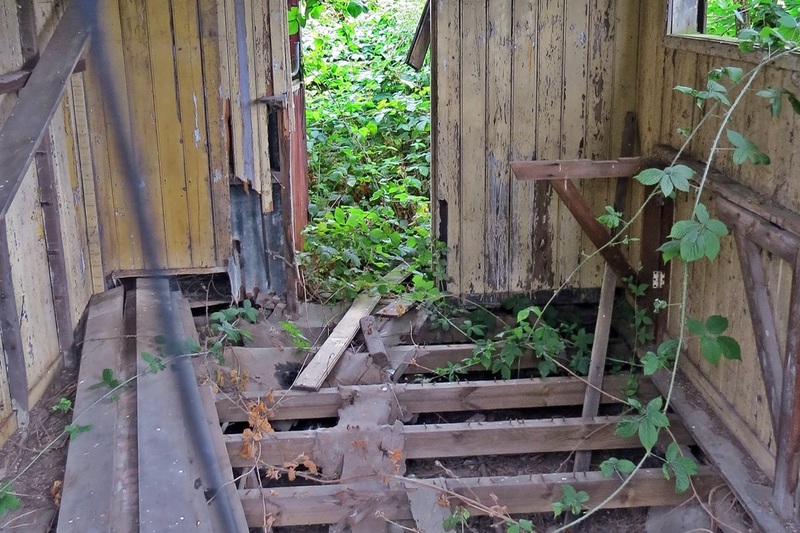 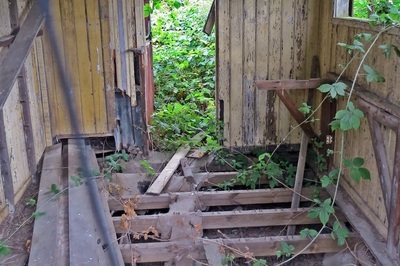 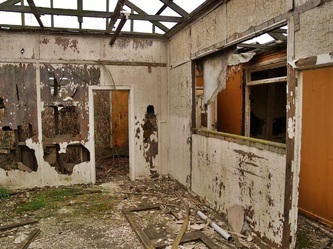 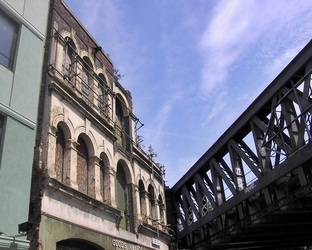 The actual remains of a number of original buildings from the former factory still remain. 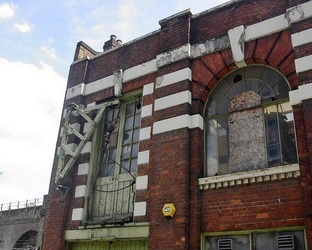 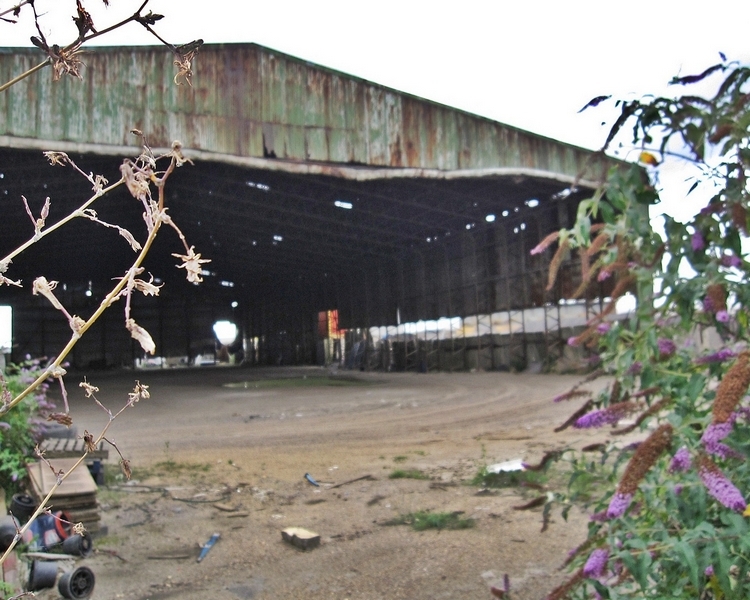 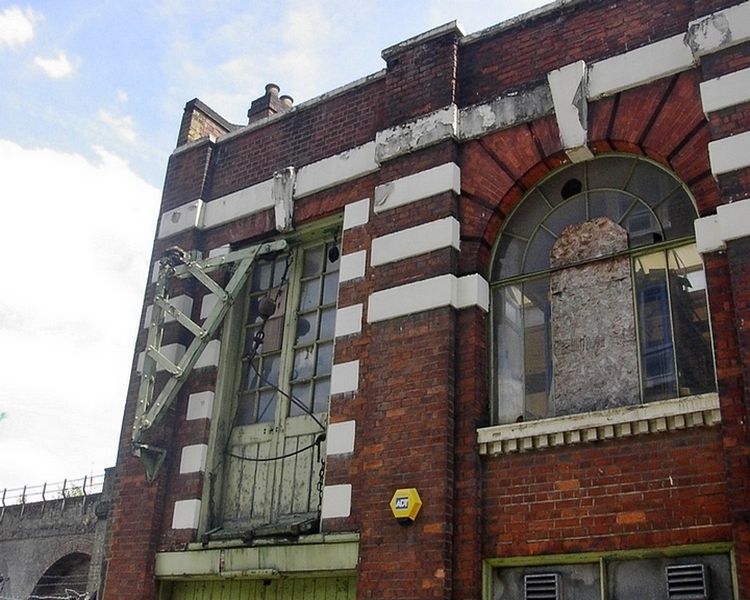 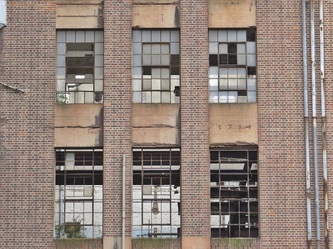 Due to planned development in the area, these buildings face an uncertain future. 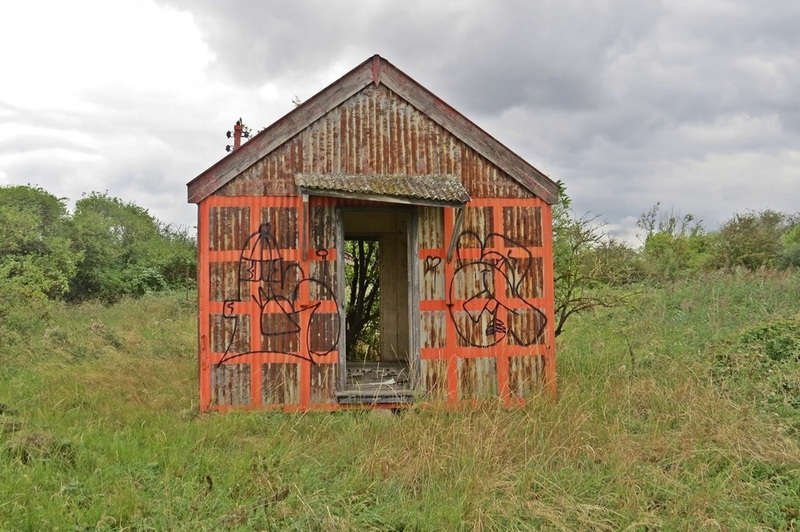 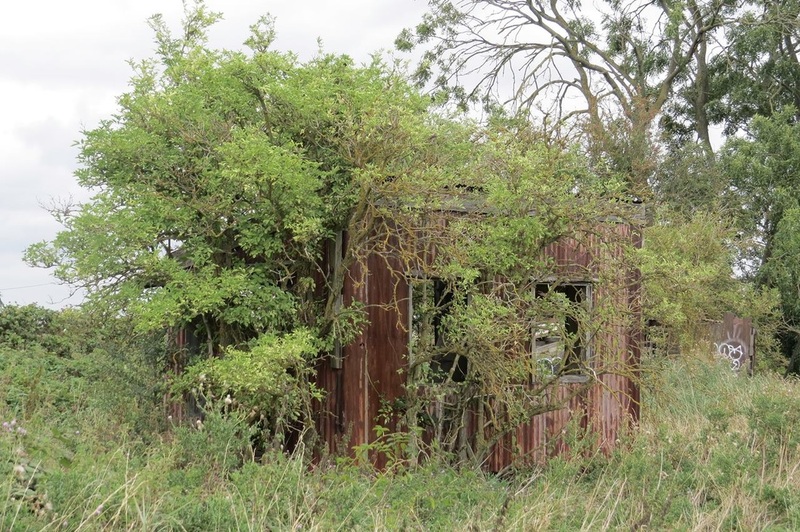 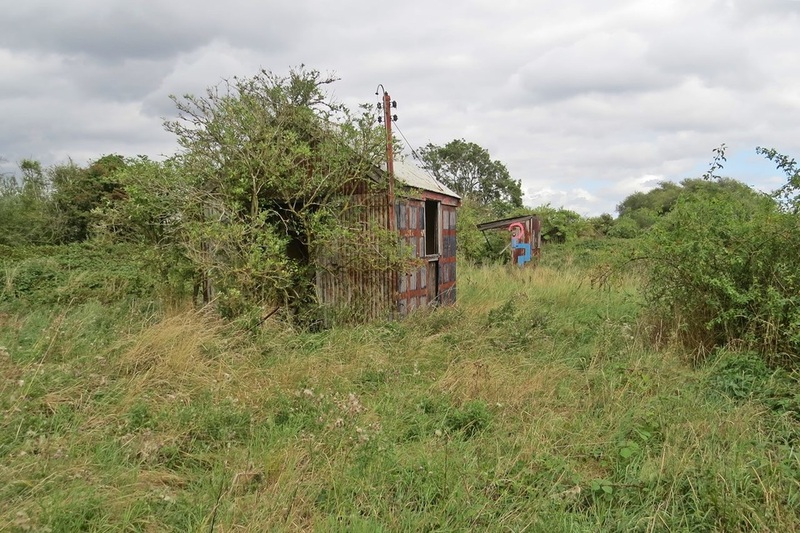 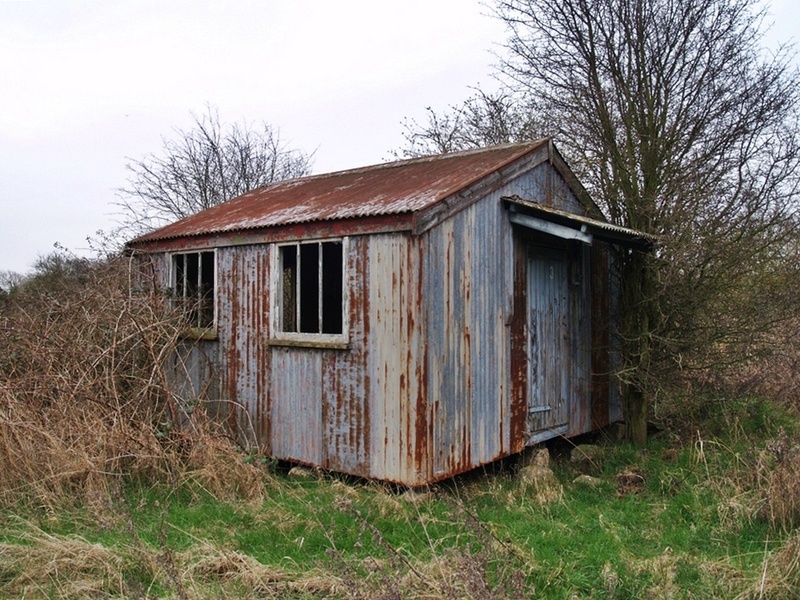 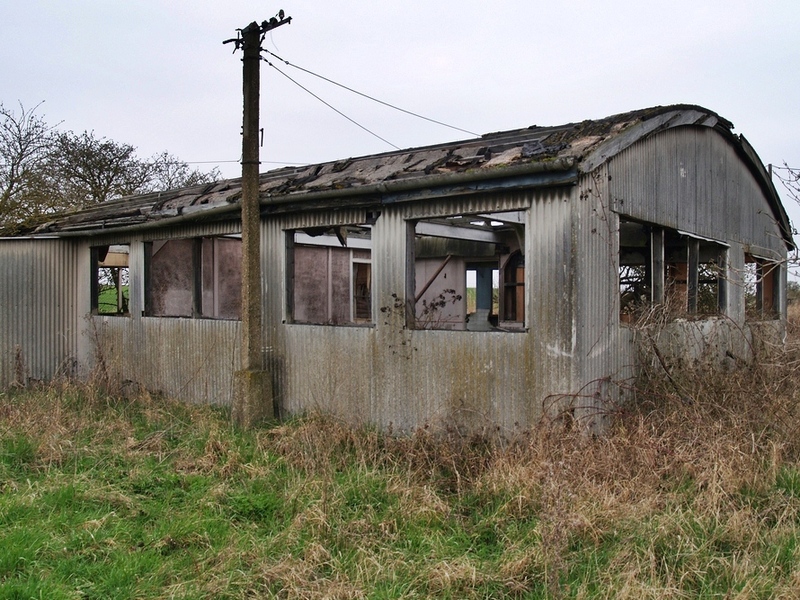 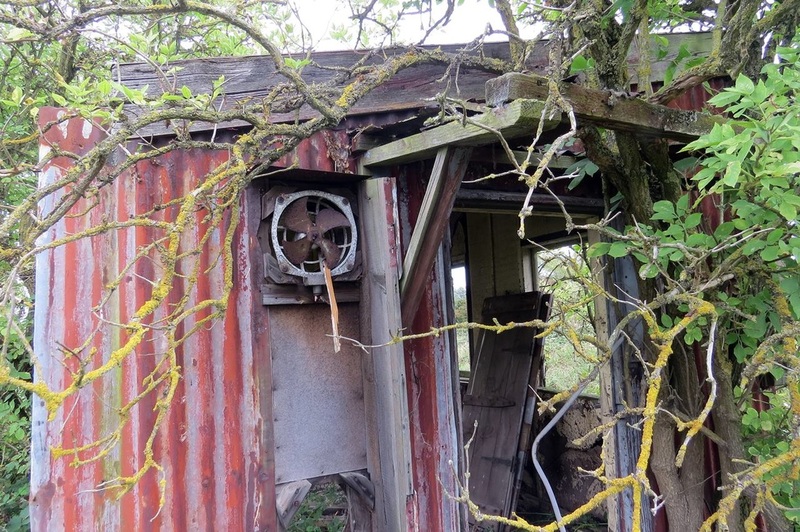 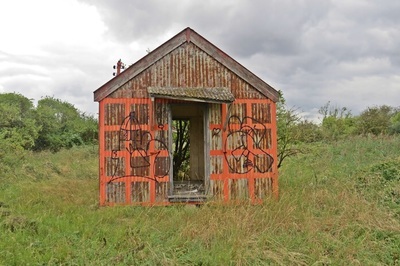 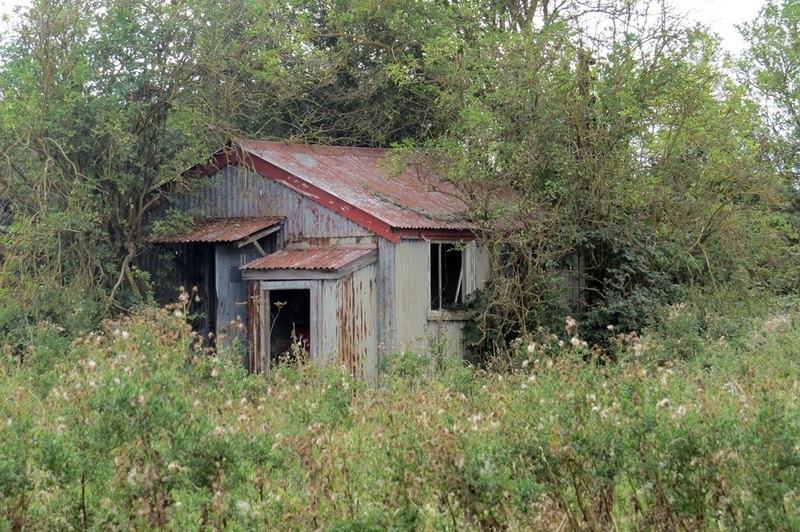 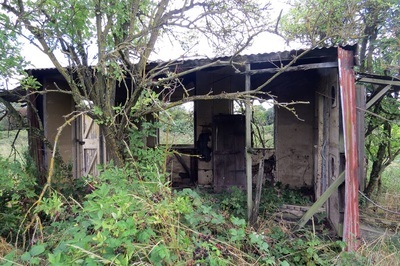 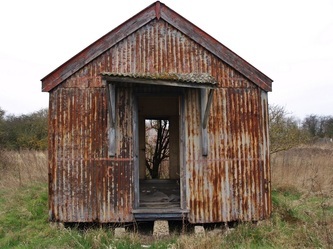 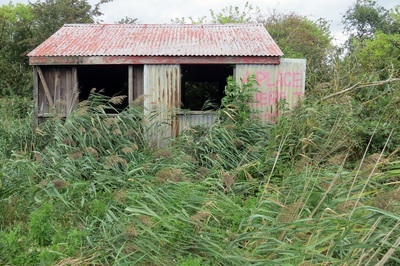 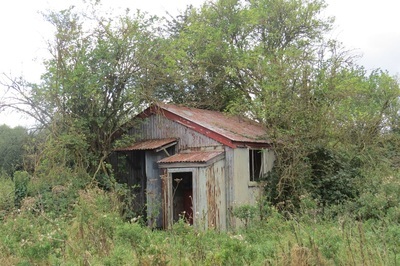 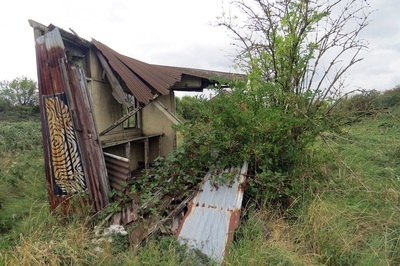 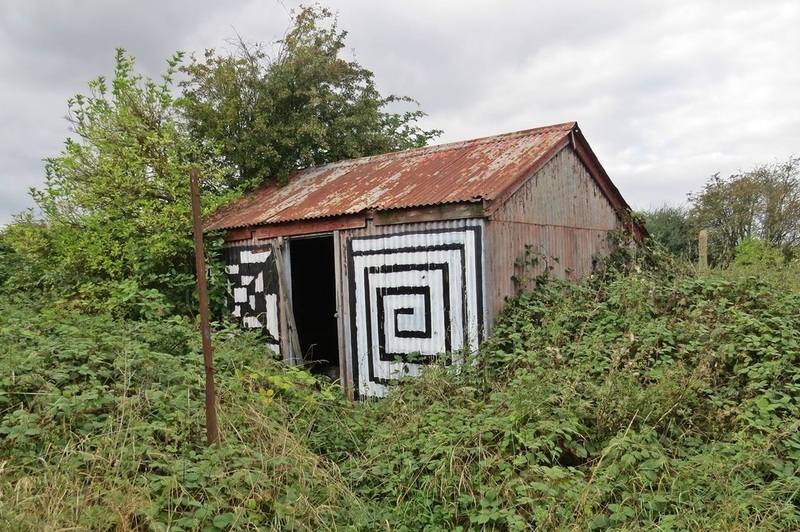 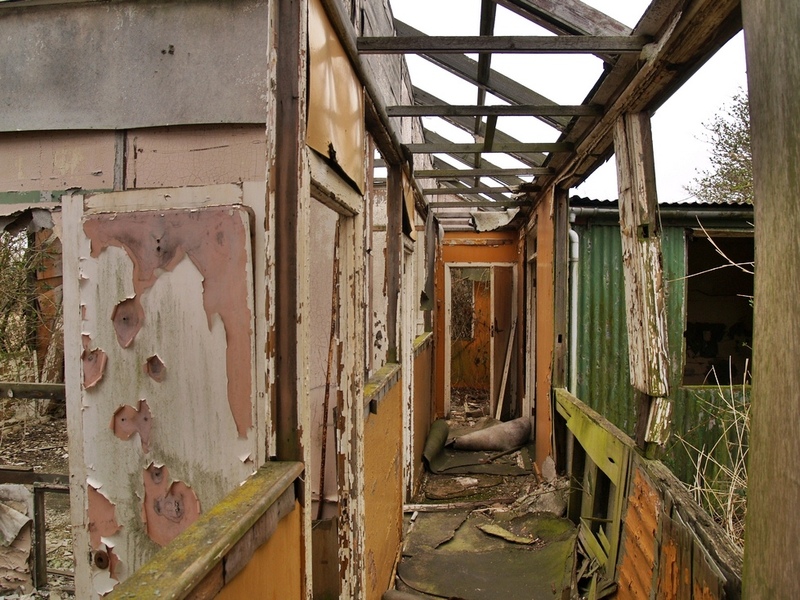 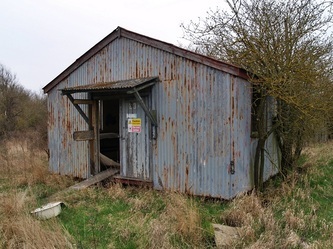 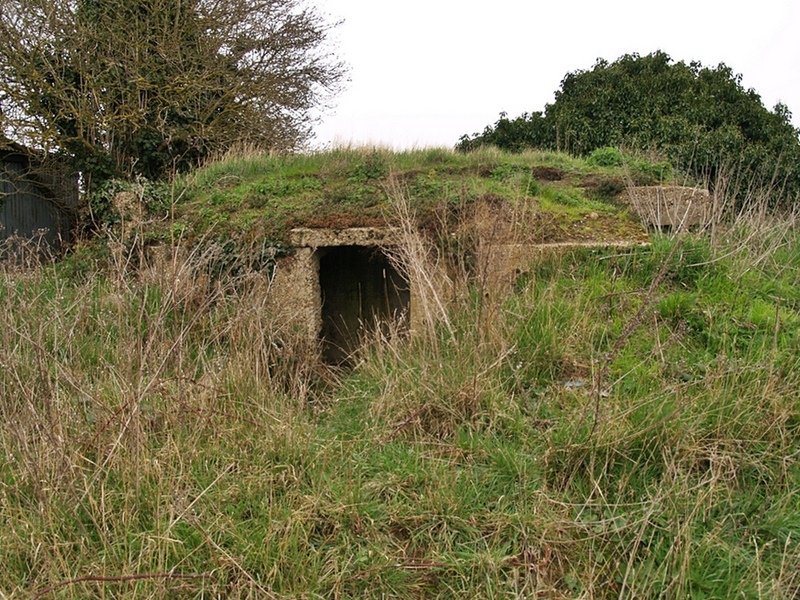 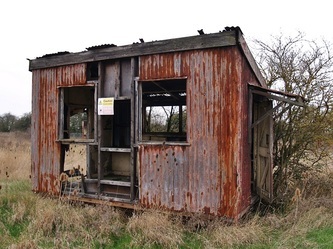 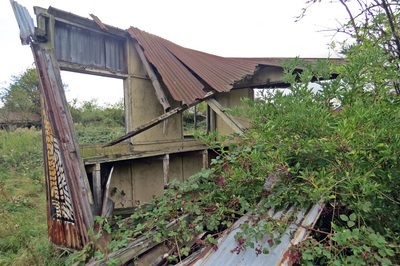 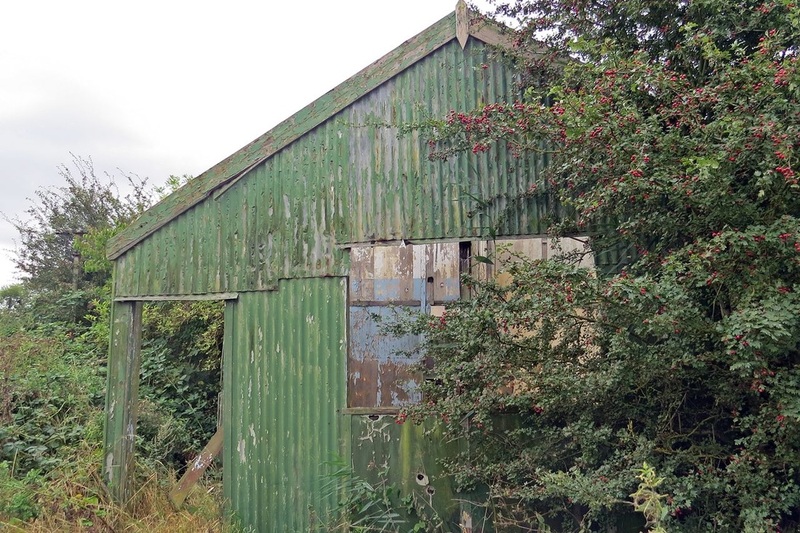 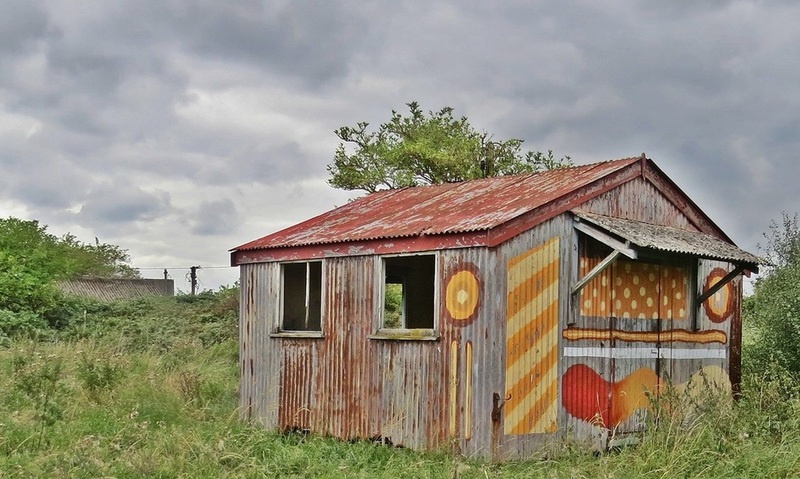 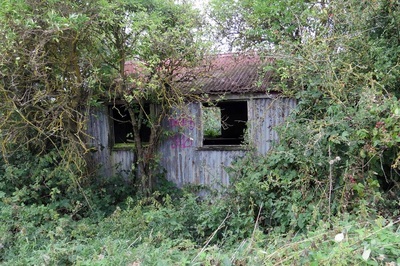 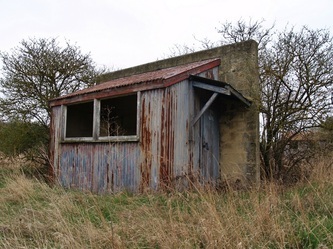 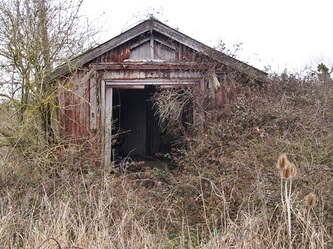 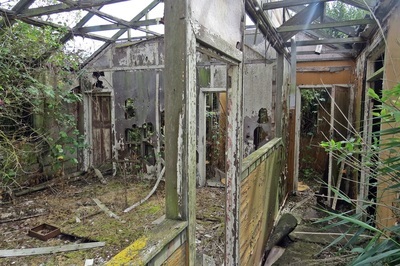 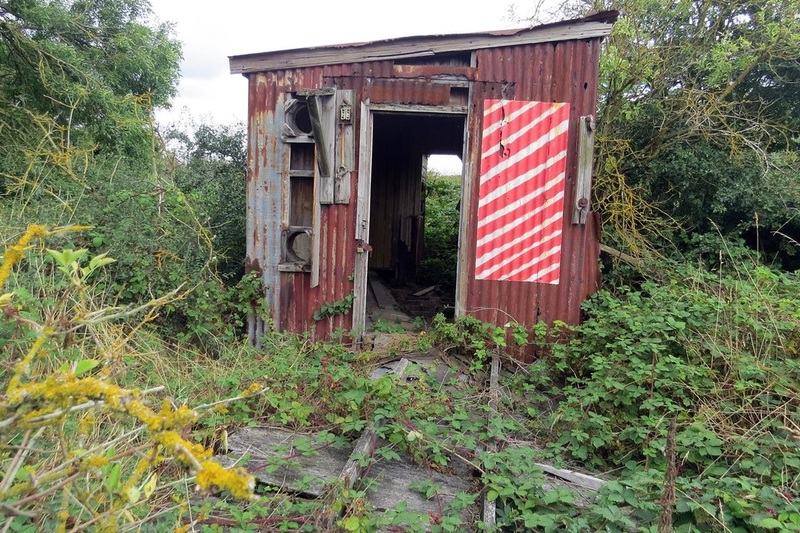 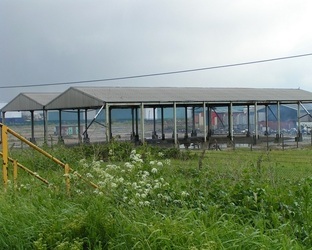 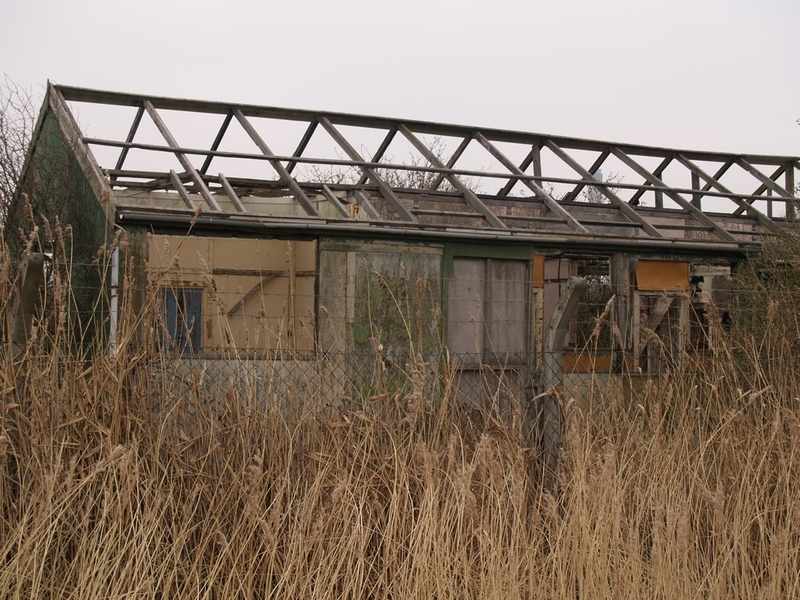 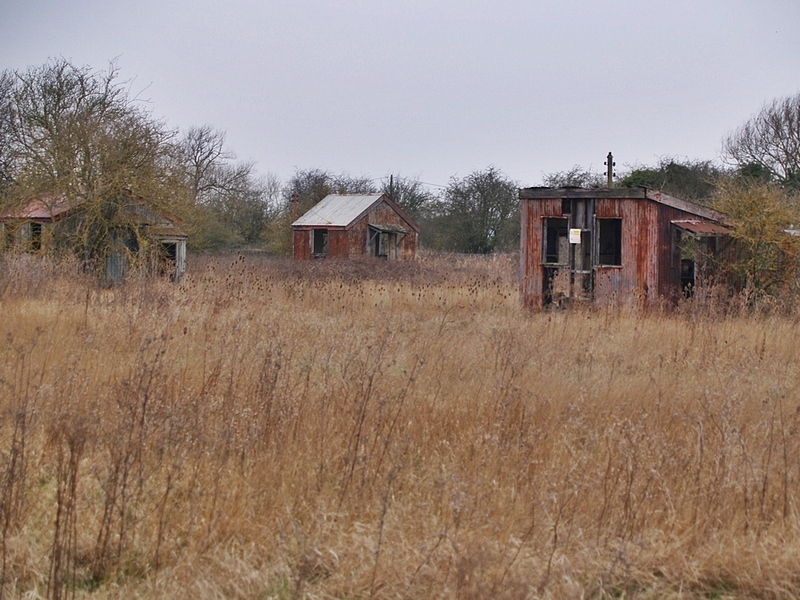 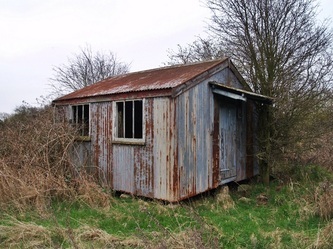 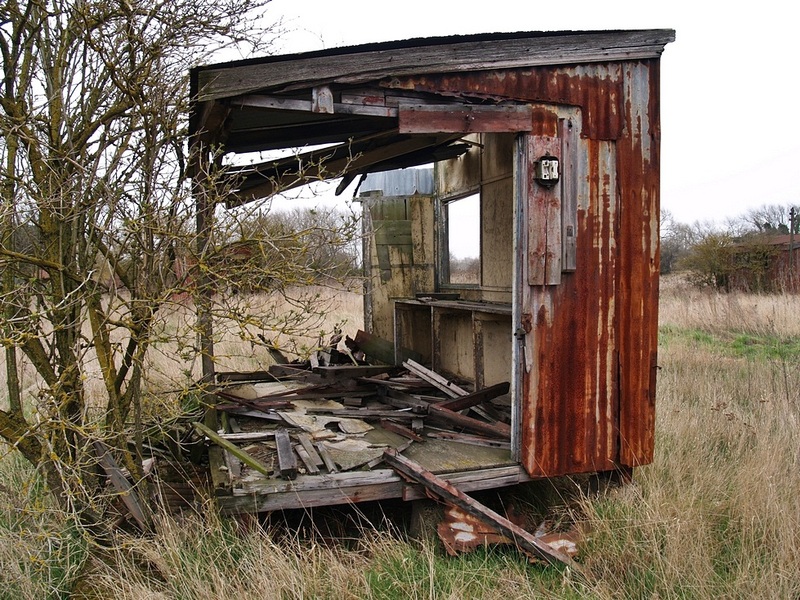 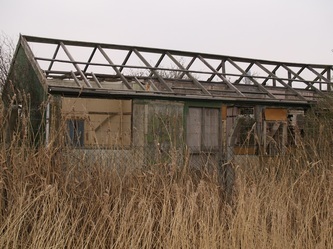 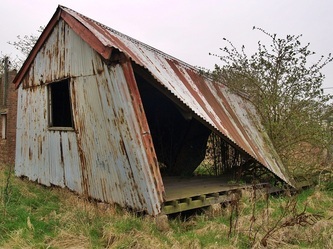 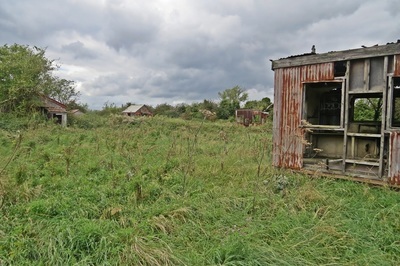 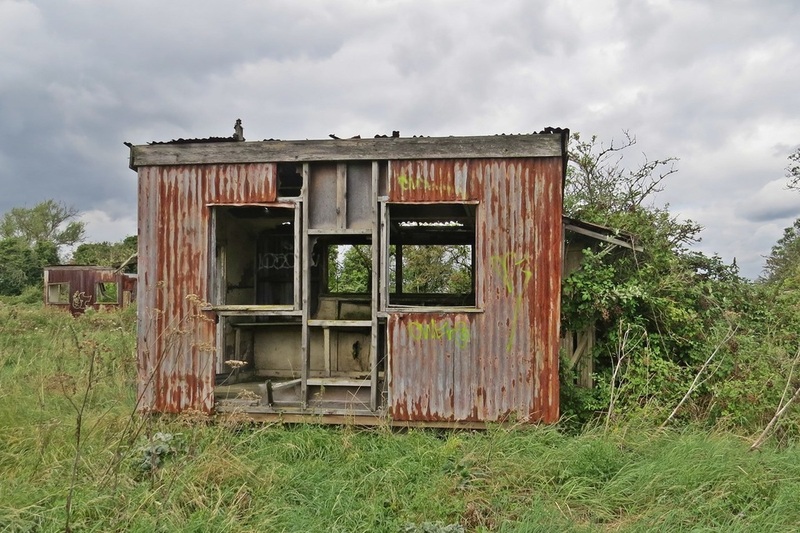 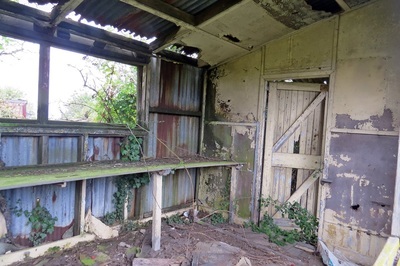 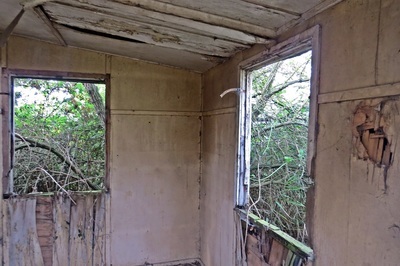 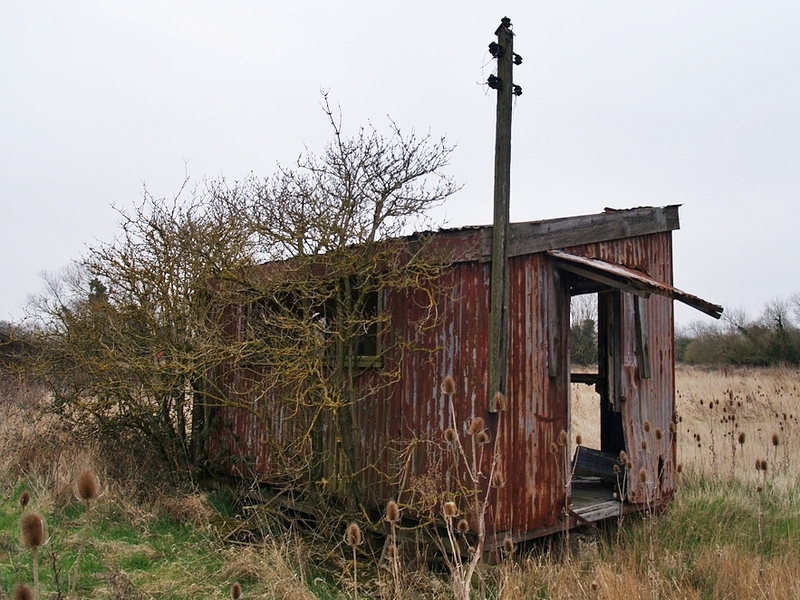 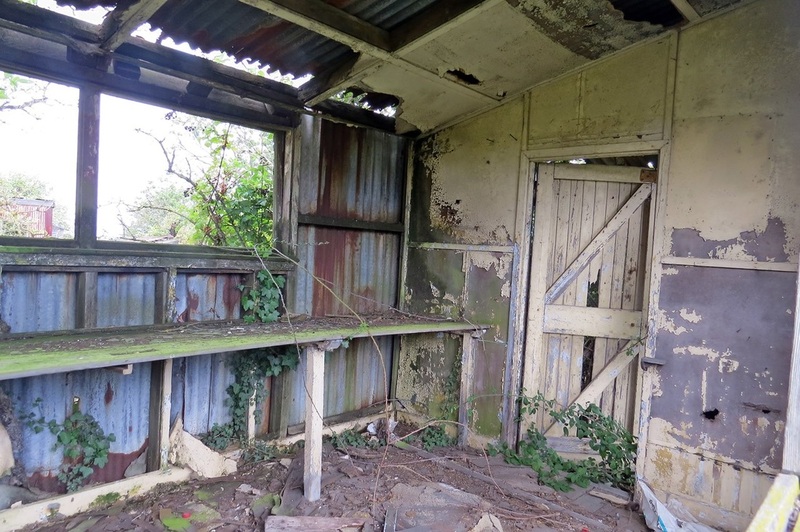 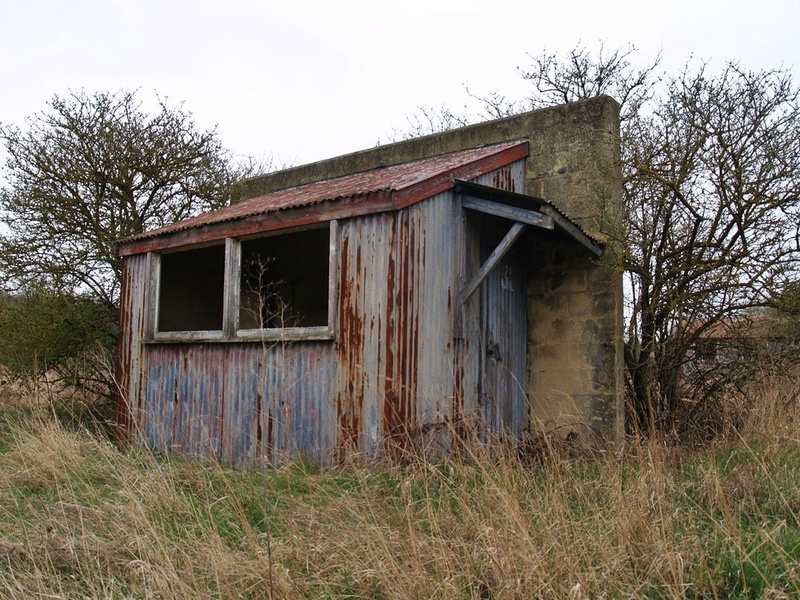 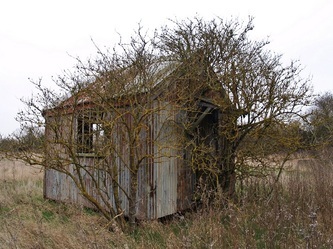 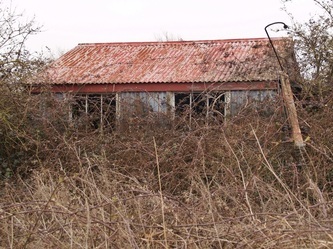 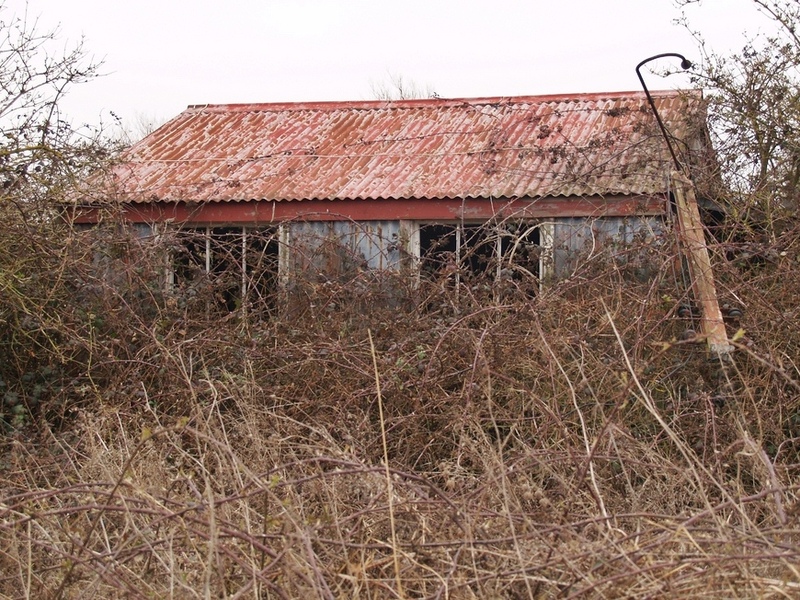 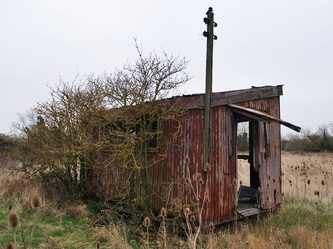 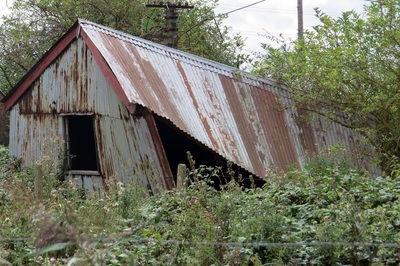 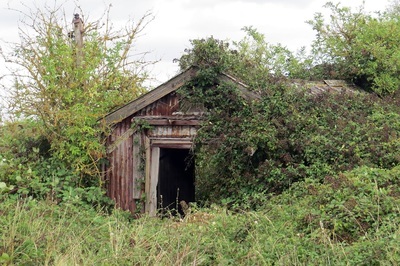 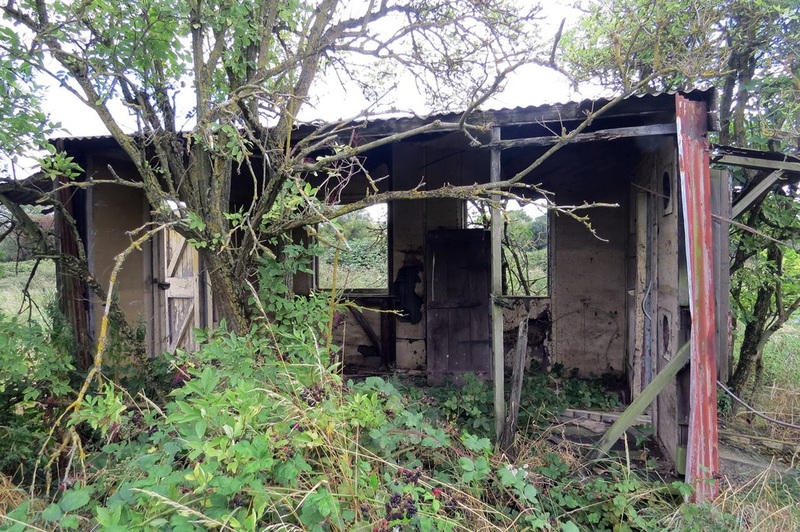 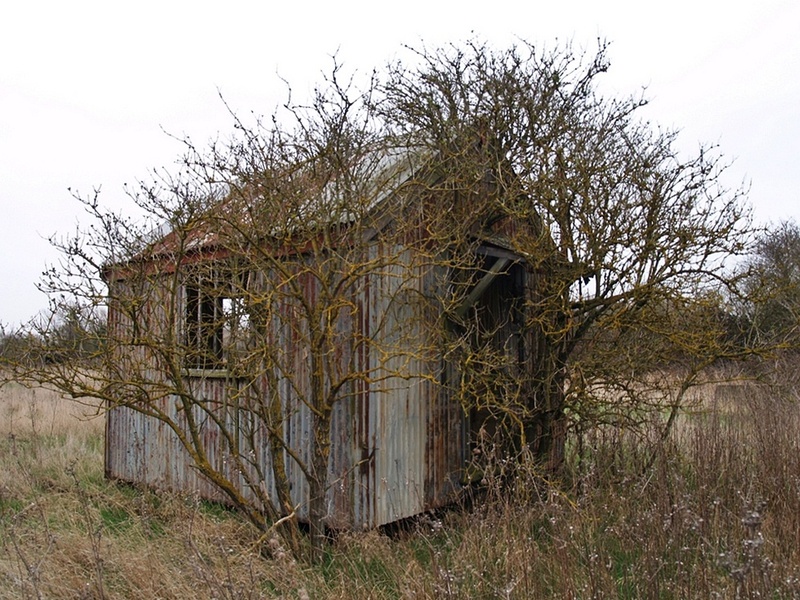 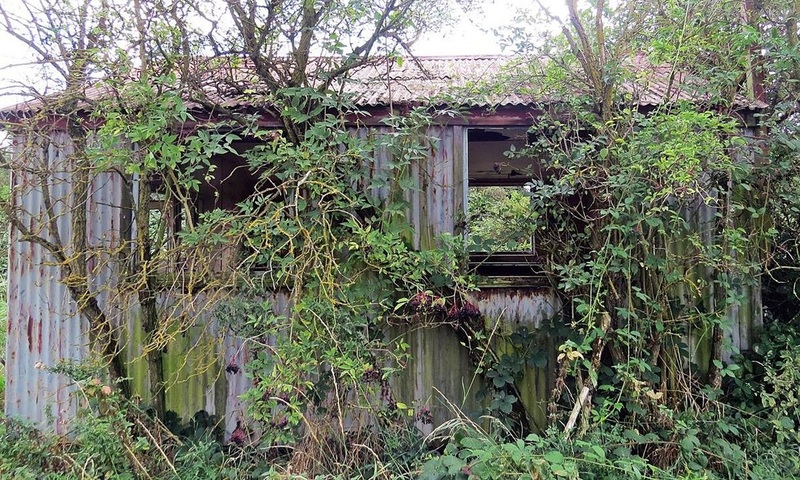 The corrugated iron sheds, which for obvious reasons were spaced apart from one another, survive in an overgrown landscape of elder bushes, brambles, nettles and buddleia. 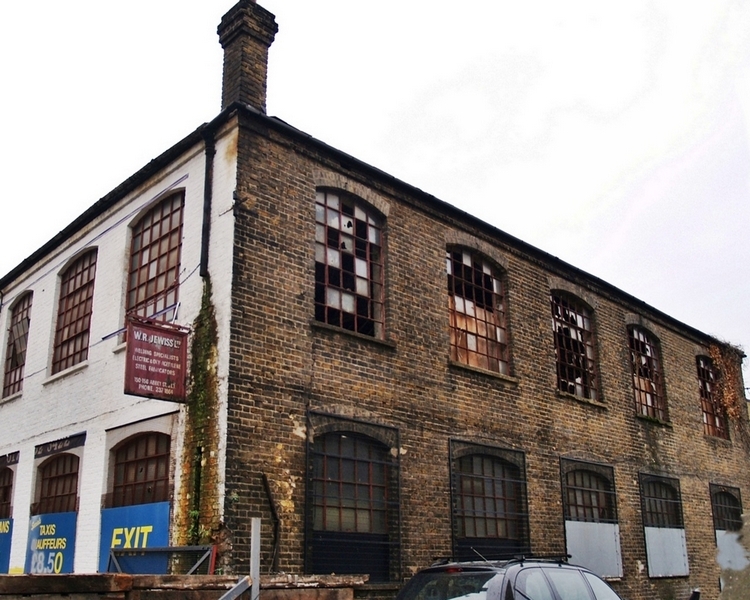 Wells at Dartford is the only remaining firework factory in the UK of a type which once was common. 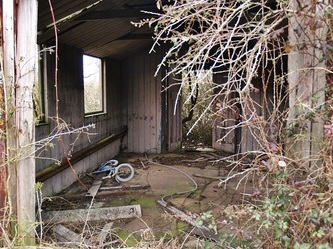 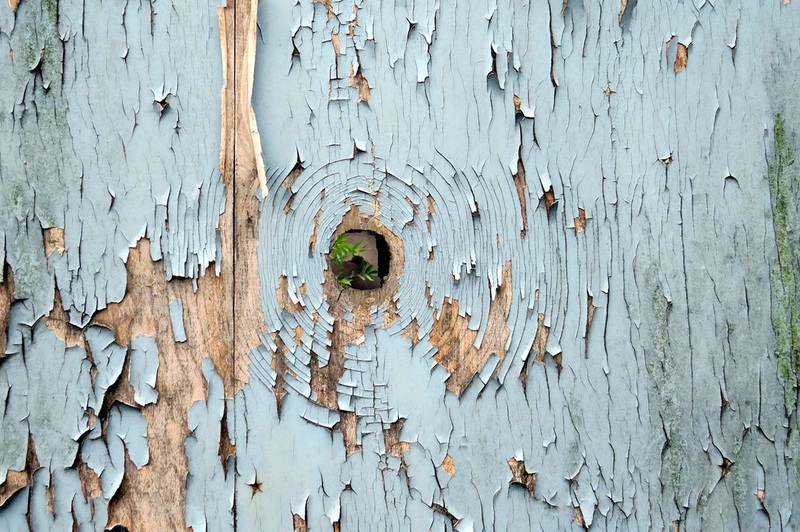 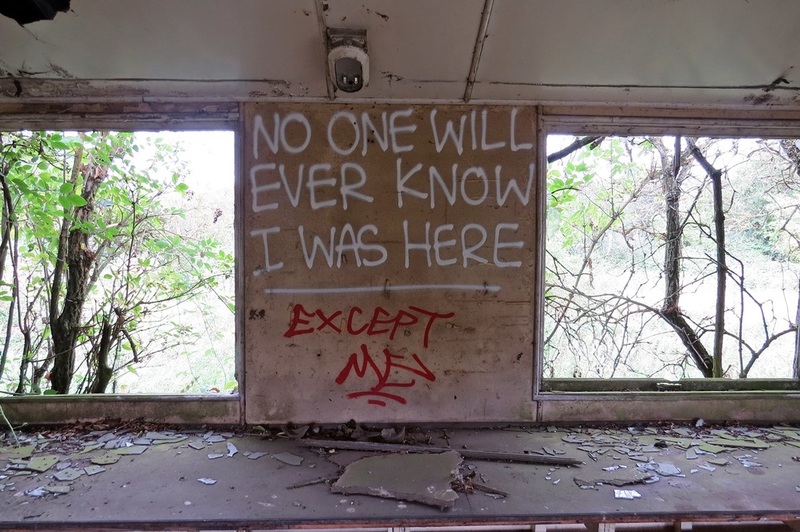 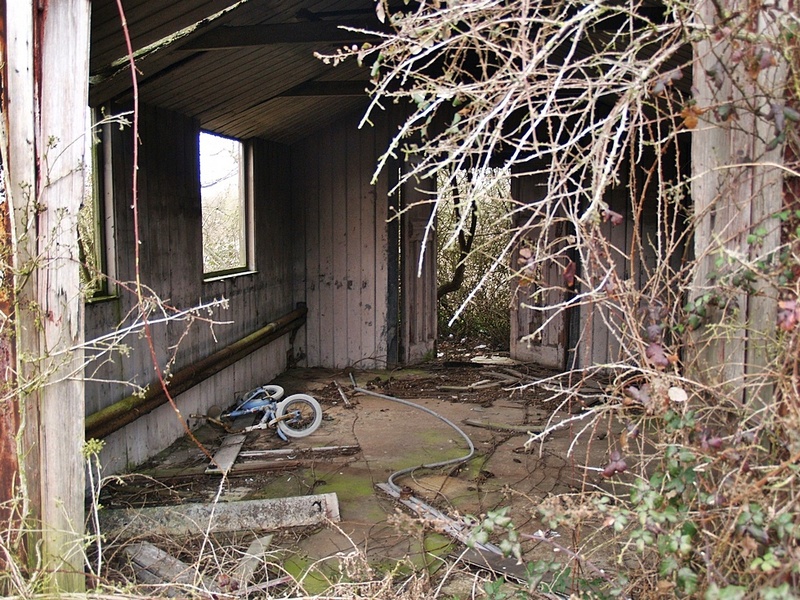 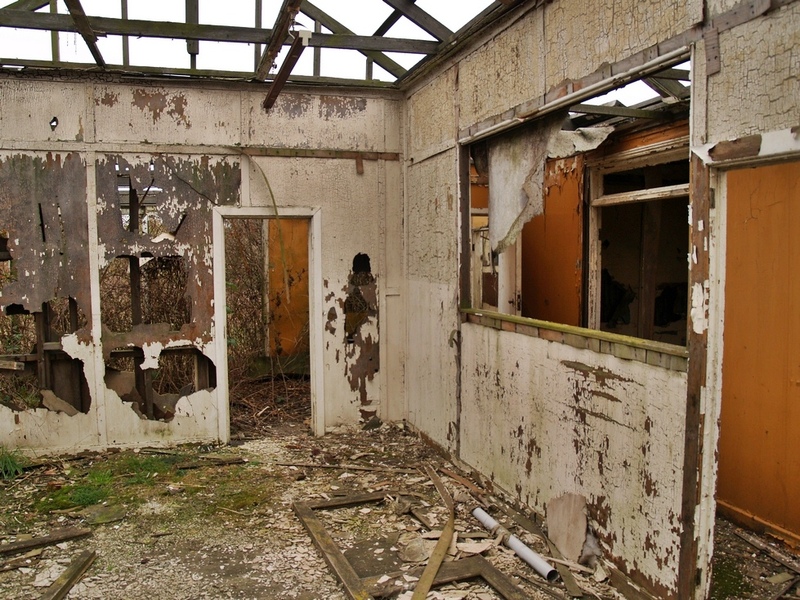 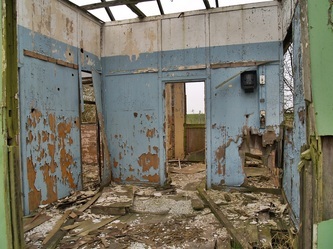 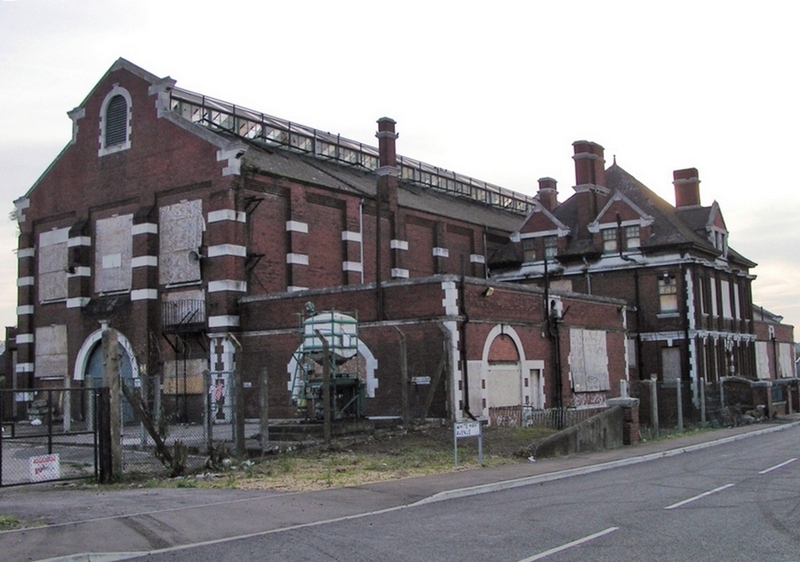 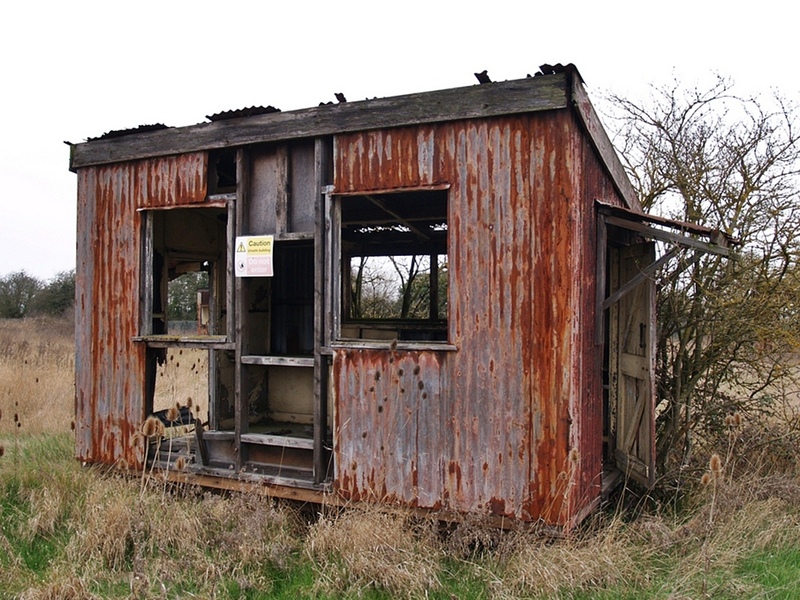 It has stood derelict for around 25 years. 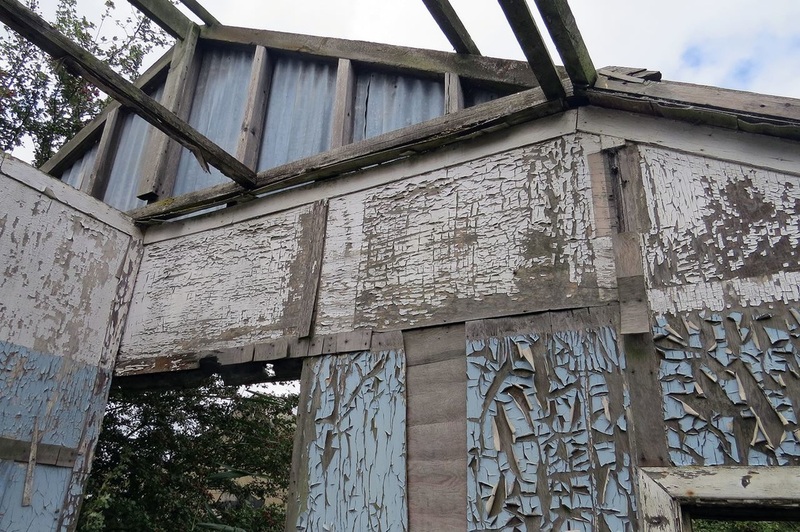 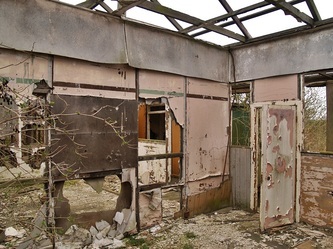 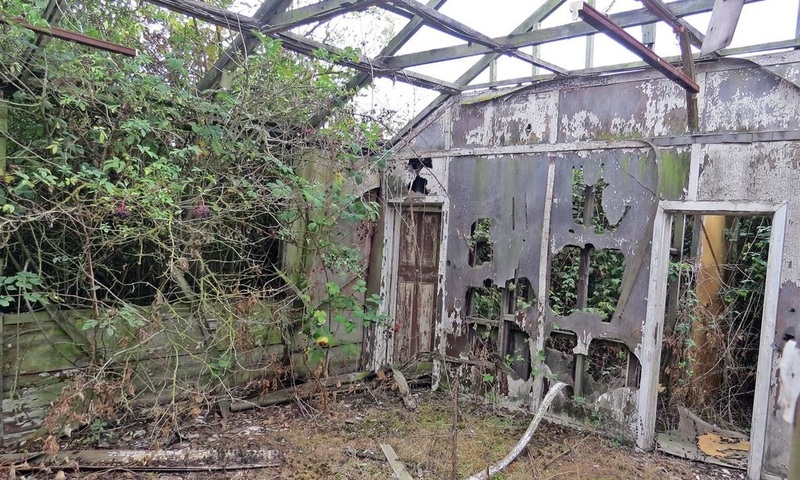 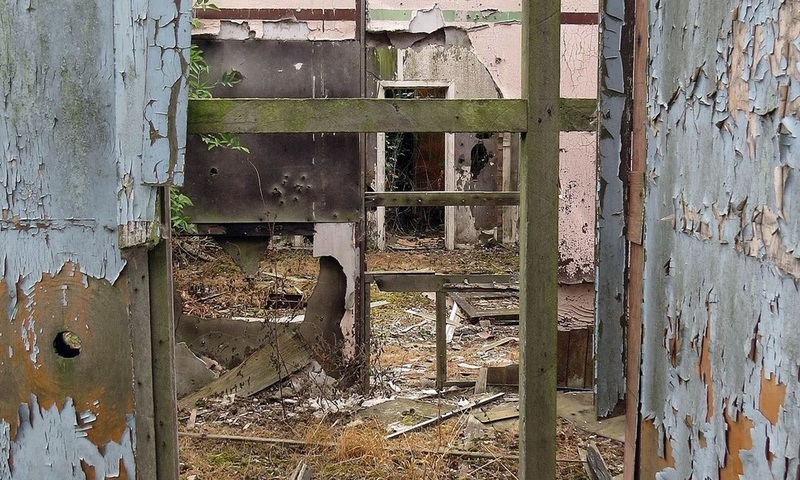 A charity was once planning on rescuing some of the buildings and erecting them as a Fireworks Museum at Amberley Museum and Heritage Centre in Sussex but do sure how far they have got with those plans. 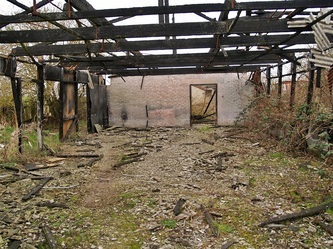 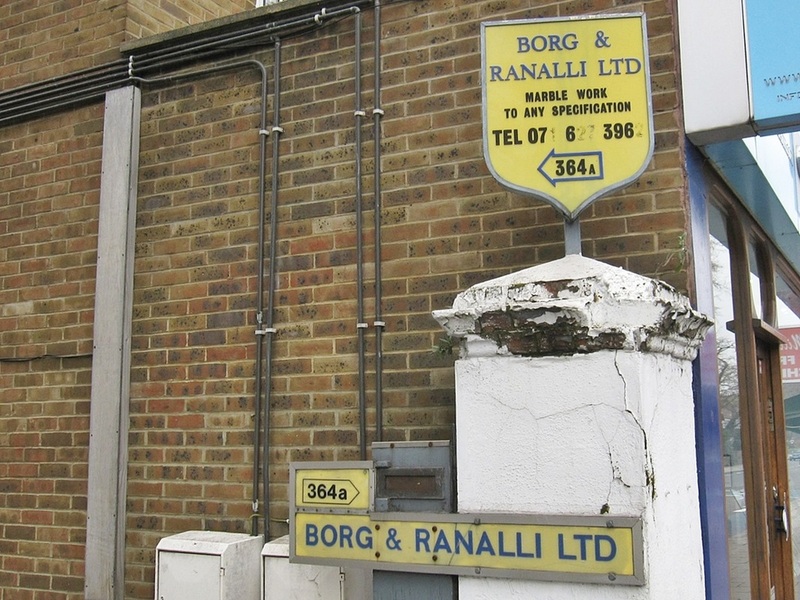 These are the remains of the workshops of Borg and Ranalli who built marble products. 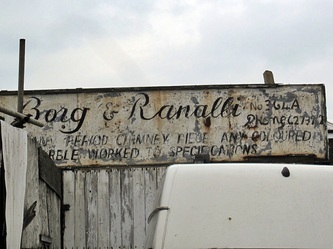 In 1910 it is believed that Spencer a banjo makers had their workshop here. 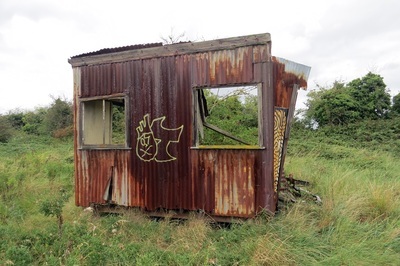 Steve wrote to Derelict London writes: "my Dad used to work at this depot from the mid 80's to early 90's as a security guard for the council, he used to watch for people getting through the fence to nick the batteries out of the rubbish carts that were parked there over night. 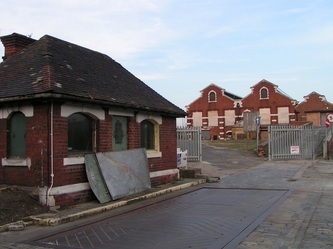 I used to visit him some nights on my motor bike at work, where he would feed the ferile cats, foxes and anything else furry, one night he tripped in the gatehouse (pictured) hit his head on the weigh bridge equipment, knocked himself out and cut his head open.Apparently the big building was used as a temporary morgue during WWII." Copperas was a valuable substance used in the production of acids & chlorine. 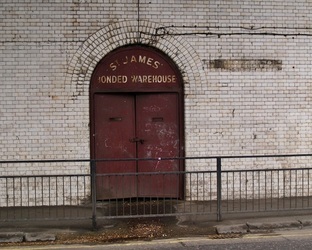 It was obtained from nodules found within London Clay. 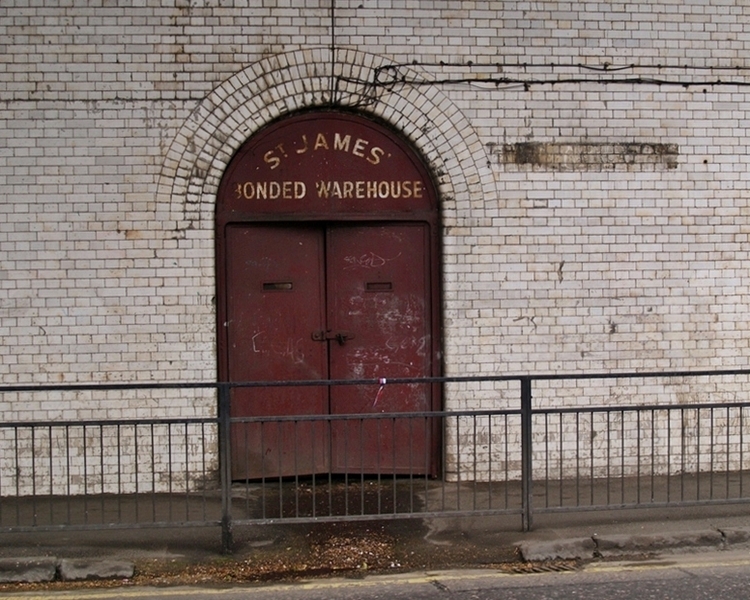 In 1746 England was amongst the largest sources of copperas in Europe. 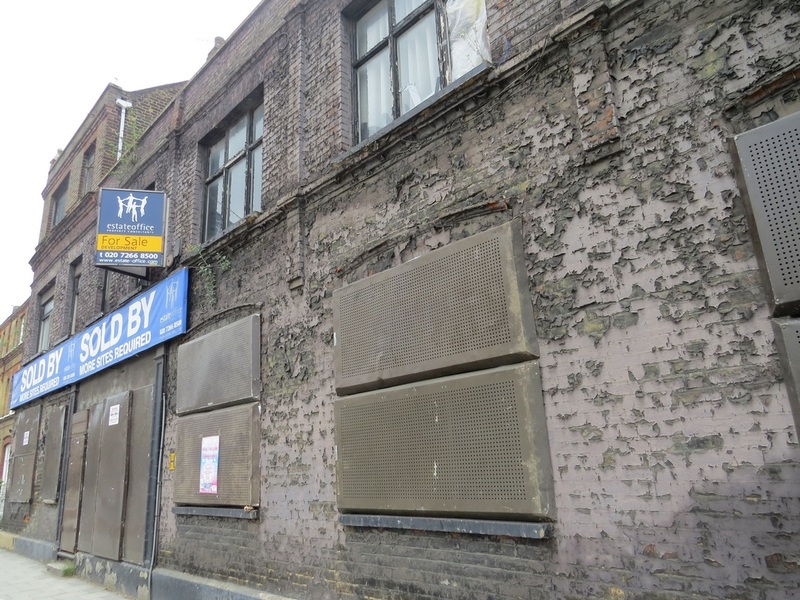 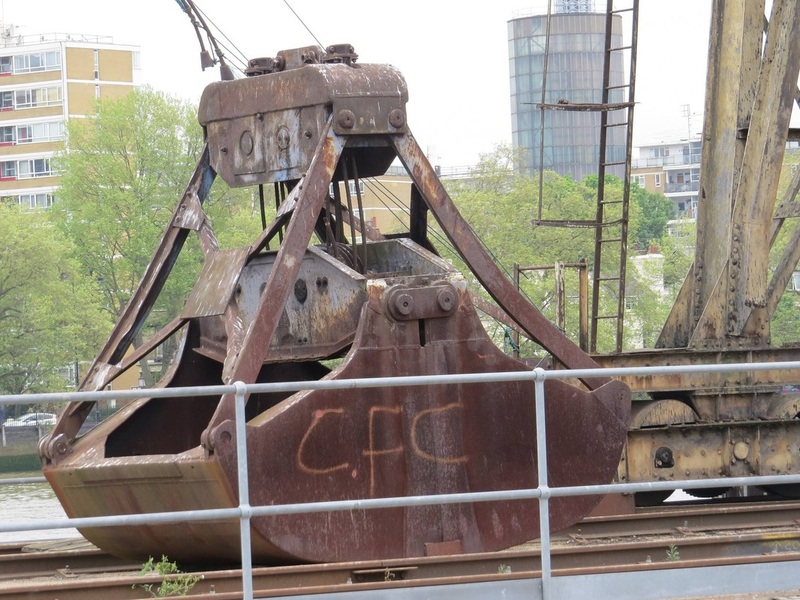 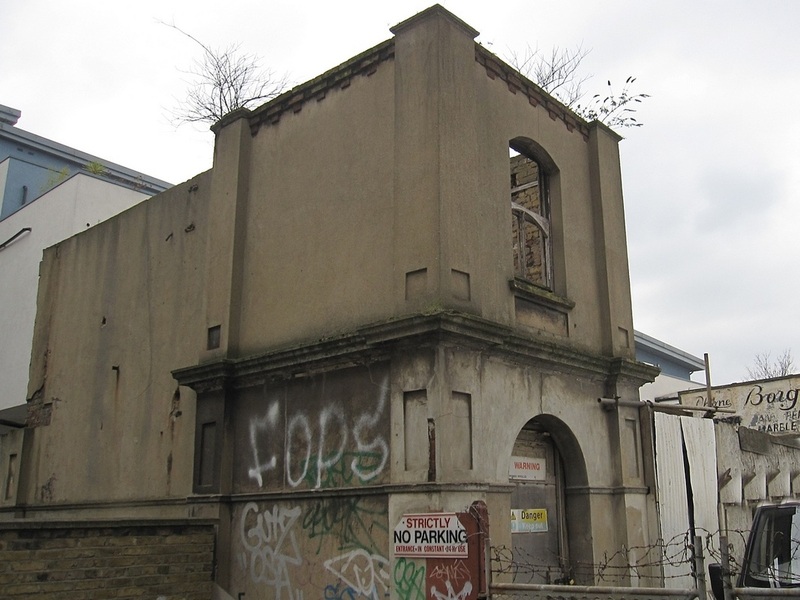 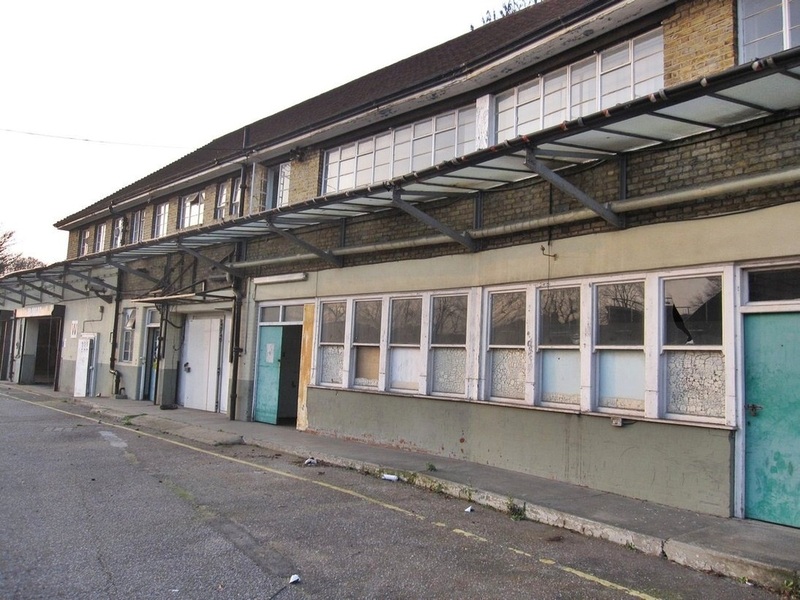 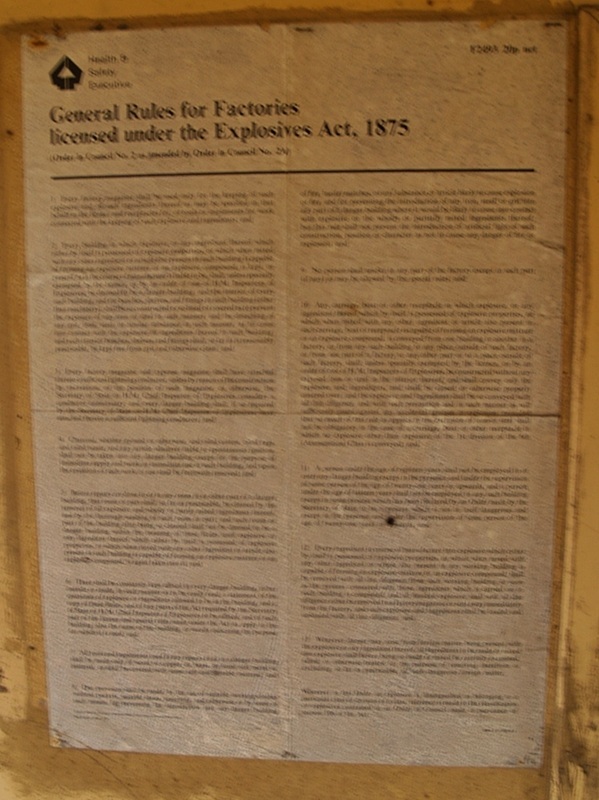 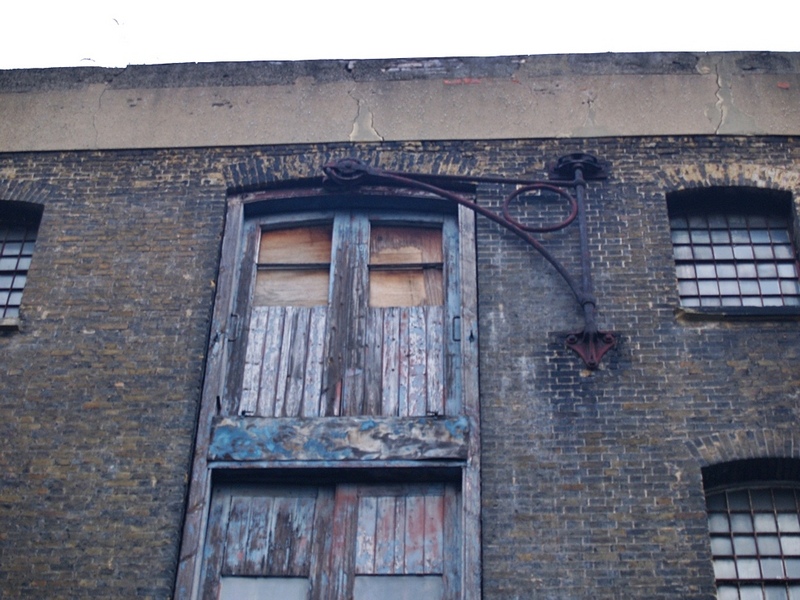 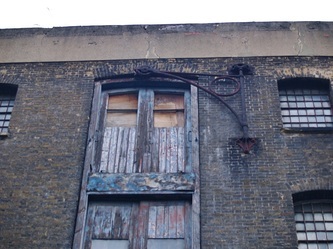 However methods of production was changed during the 18th century and the Deptford works closed in 1828. 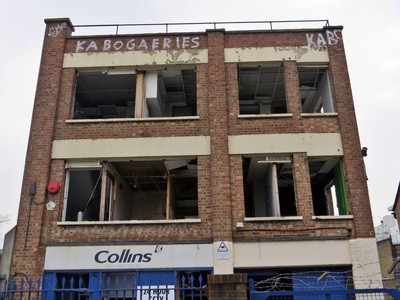 Wheens soapworks was also located in Copperas Street - fat from the local cattle market together with rag ‘n’ bones collected by local totters was used to produce candles and soap. 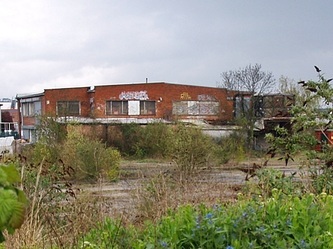 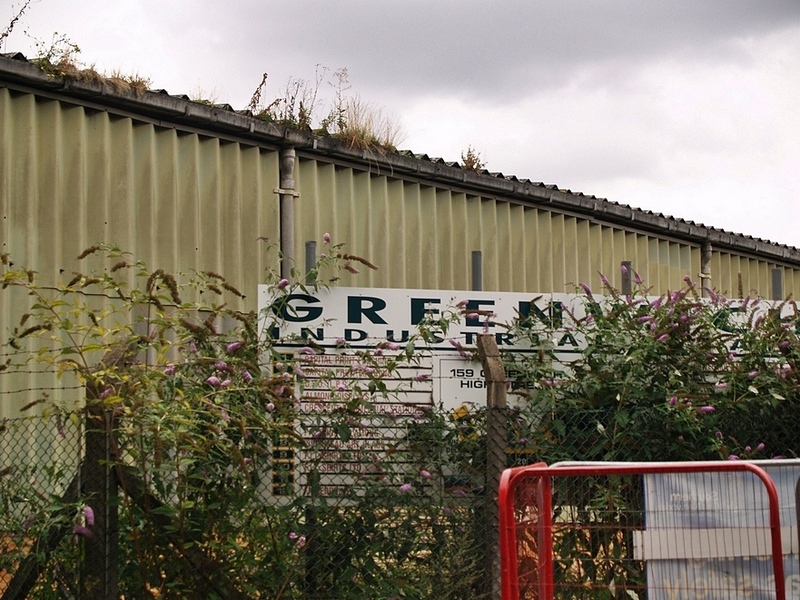 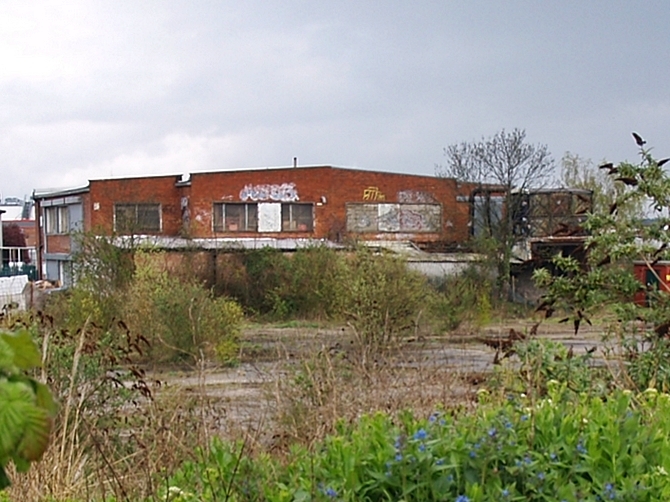 Since then various industrial type units have come and gone and some remain derelict awaiting demolition and currently dwarfed by modern multistorey buildings over the road. The two acre site has been vacant for the last few years and has had "problems with travellers and people breaking in". 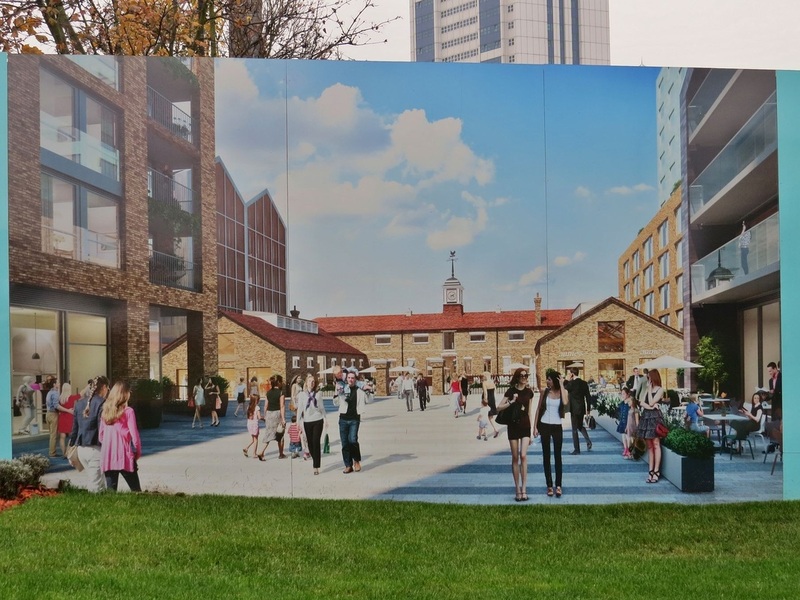 Local press reports on ambitious plans to transform Greenwich Industrial Estate into a "buzzing quarter with £100 million of development... a three star hotel, 180 residential units, 400 units of student accommodation, space for business start ups, an educational hub and a pedestrianised street. 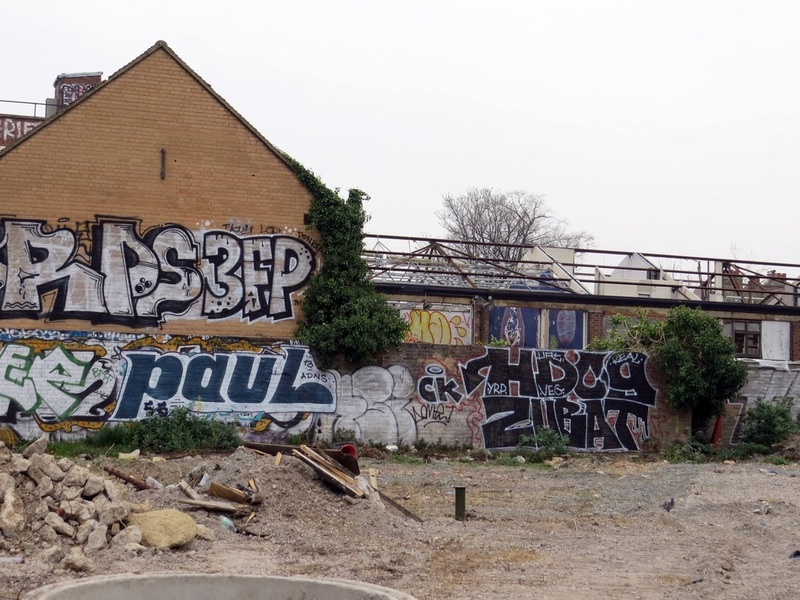 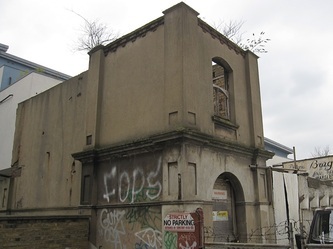 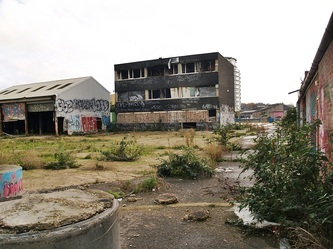 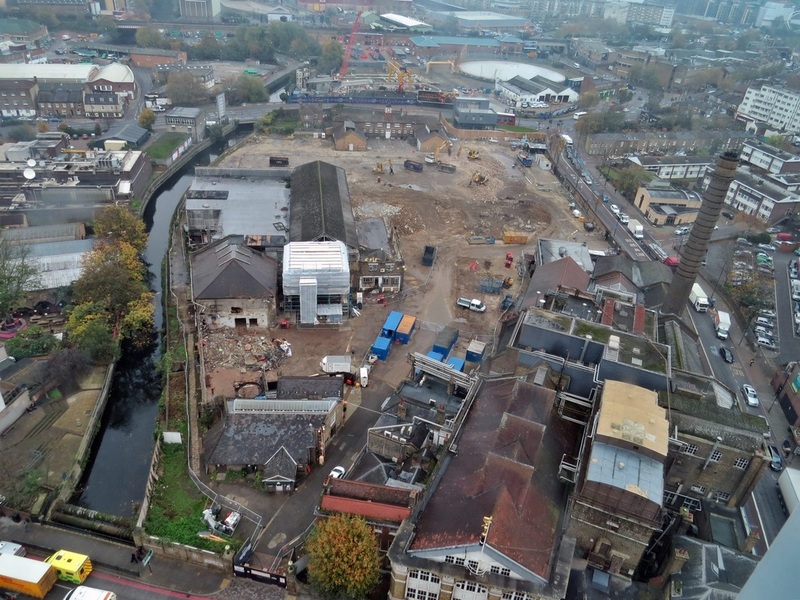 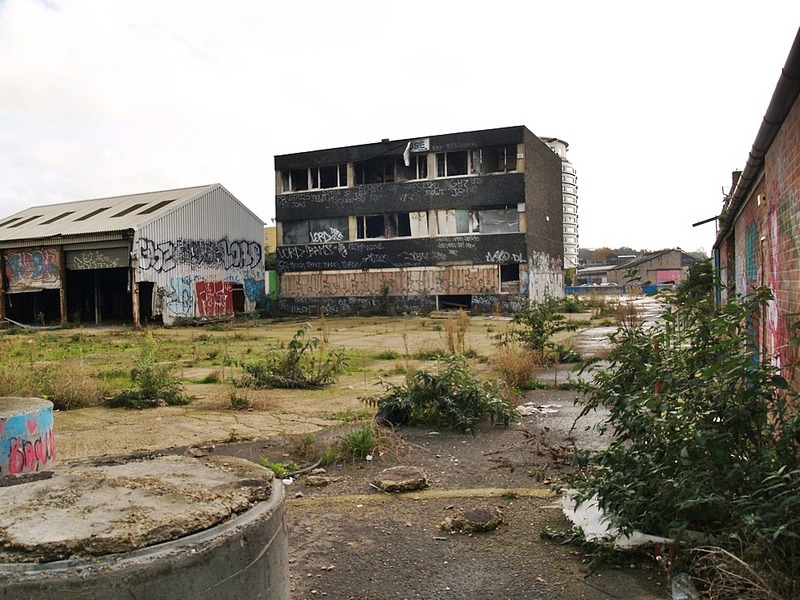 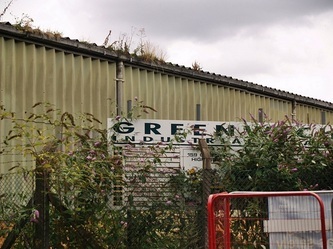 Developers Cathedral Group say they want to create a “vibrant, new and sustainable community” for west Greenwich.The land is currently owned by the council and for the last 10 years there have been various proposals to redevelop it. 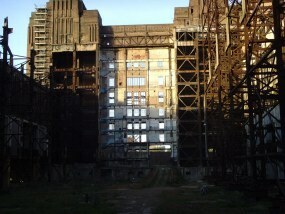 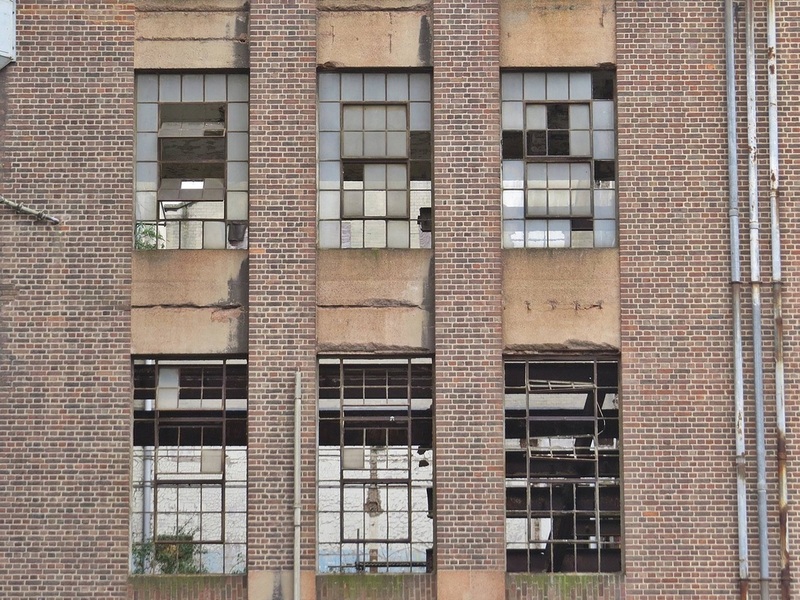 Battersea Power Station is without doubt the most famous derelict building in London. 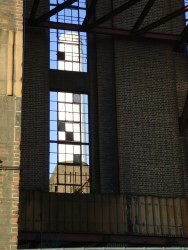 Opened in 1937 it was designed by Sir Giles Gilbert Scott, the architect also responsible for Bankside Power Station and Liverpool Anglican Cathedral, and it originally had a chimney at either end. 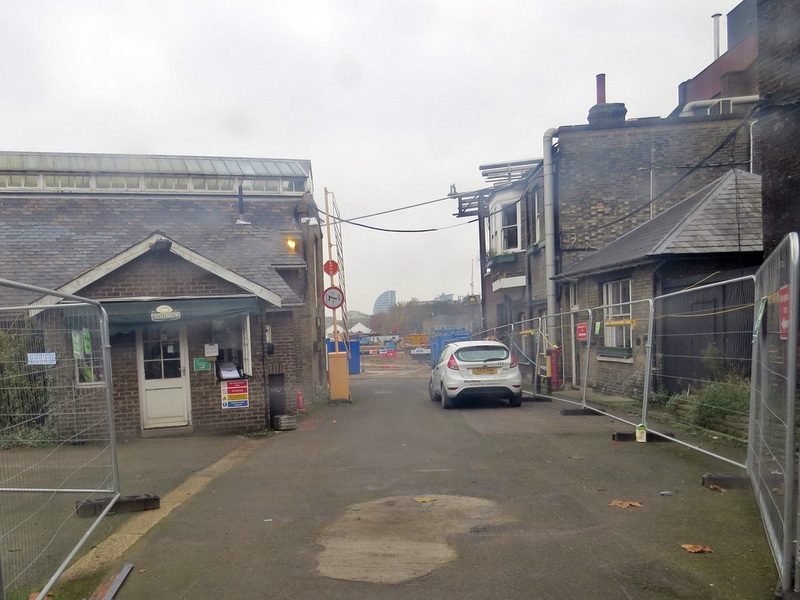 After the Second World War another, externally identical station was built alongside, giving the building its now familiar four chimneys. 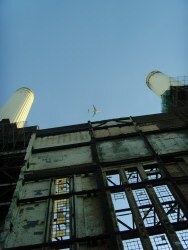 When the additional work was completed in 1955, Battersea Power Station became the largest brick building in Europe. The building is an unmissable landmark for the many people who commute from suburbia to Waterloo, and it has made numerous film and television appearances. 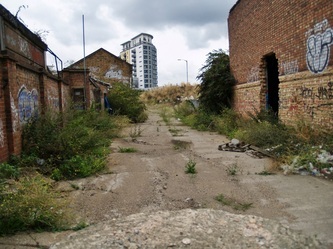 It was, for instance, a setting in Alfred Hitchcock’s 1936 film Sabotage, and it later appeared in the Beatles film Help!, Monty Python’s The Meaning of Life and the 1995 film of Shakespeare’s Richard III. 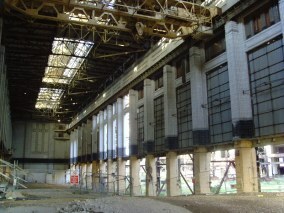 In 1964 the power station was featured in an episode of Doctor Who entitled ‘The Dalek Invasion of Earth’: set in the twenty-second century, it depicted the station converted to nuclear power. 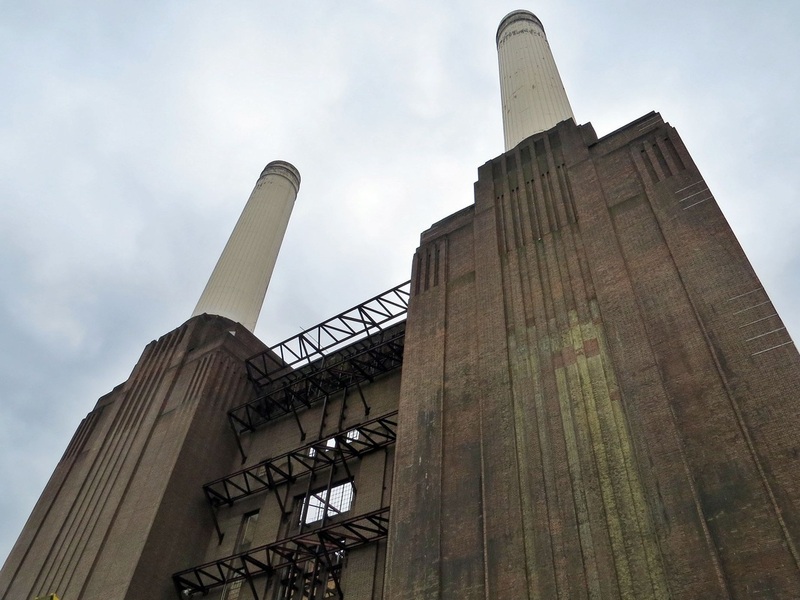 The building’s iconic status was emphasized once more in 1977 when it appeared on the cover of the Pink Floyd album Animals. 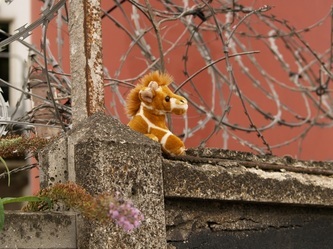 The power station closed in 1983 and plans were made to convert it into a Disney-style theme park, but costs escalated and work stopped in 1989, leaving the building in its present semi-derelict state. 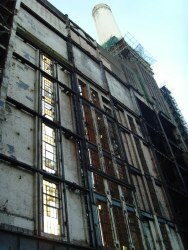 Since then, the power station has languished without a roof, its steelwork exposed to the elements and its foundations prone to flooding. 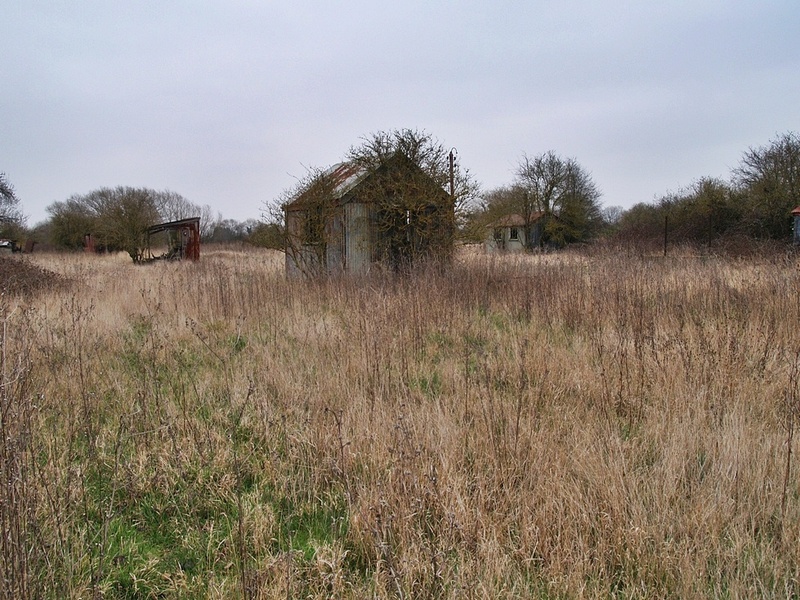 Work is now about to commence on major construction of residential property on this site. 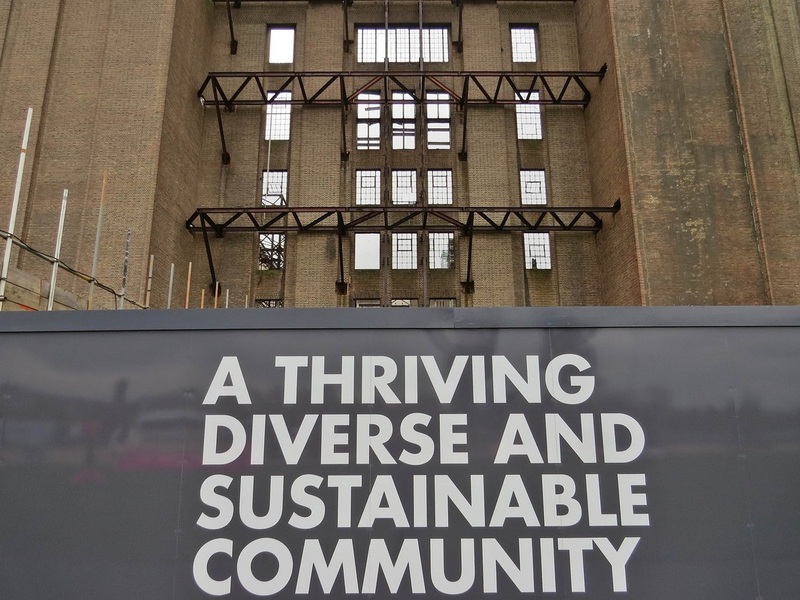 Almost all of the 866 luxury apartments planned for the first phase of construction around the site of Battersea Power Station have been sold to mainly foreign investors raising £675 million despite work on the development having not even begun. 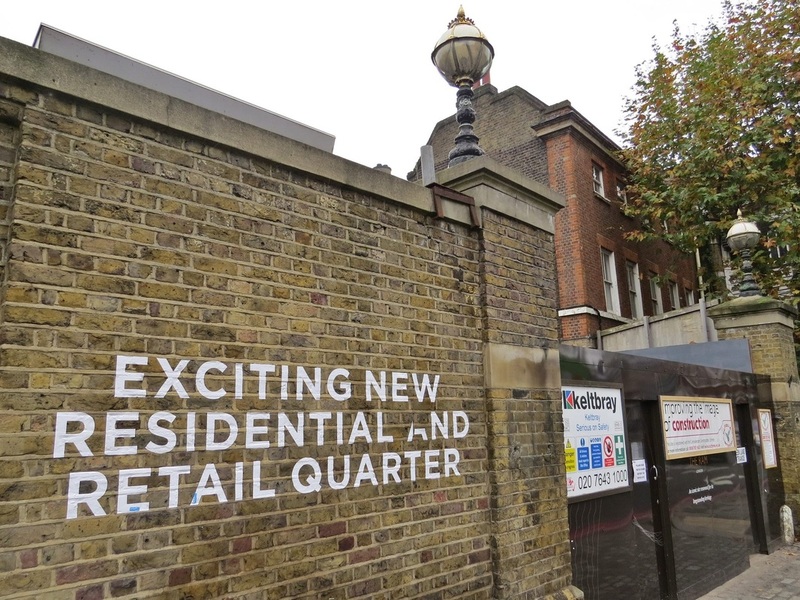 the first occupancy date set for 2016. 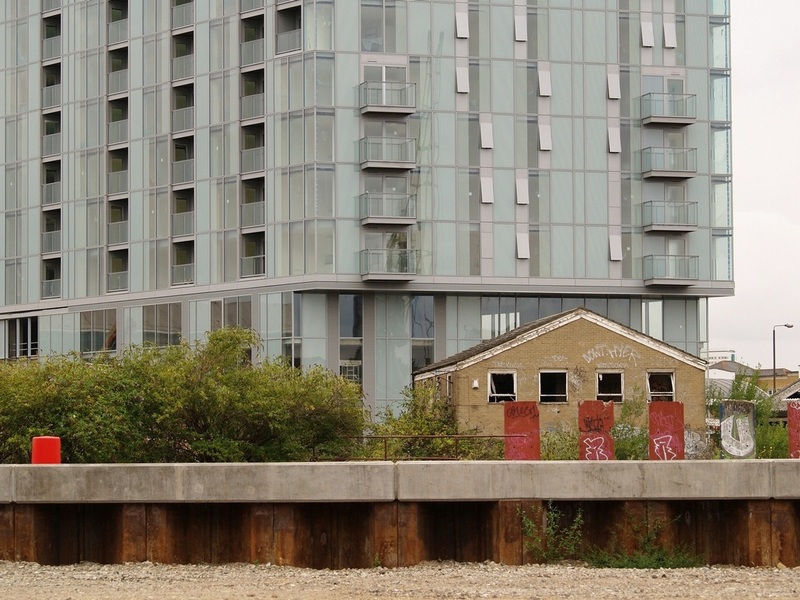 The flats are on sale from £350,000 for a studio to £6 million for a penthouse suite. Subsequent sales will take place across a further six phases, delivering over 3,400 new homes in total. 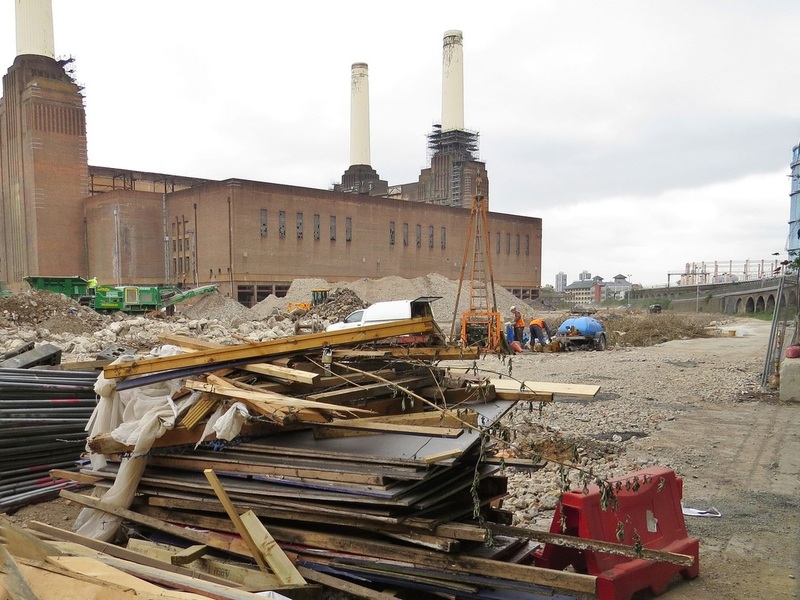 As for the Power Station building itself £100 million will be spent on demolishing and rebuilding the four chimneys, the steel frame, wash towers and brickwork. 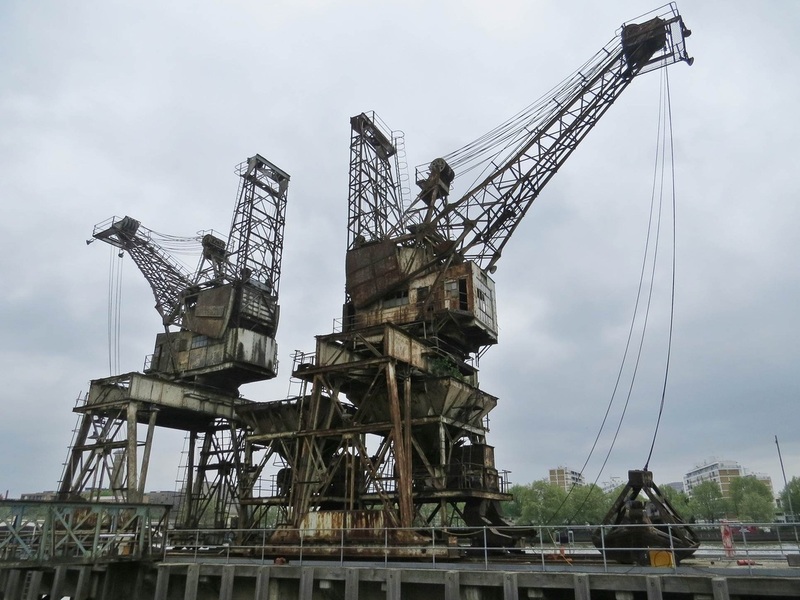 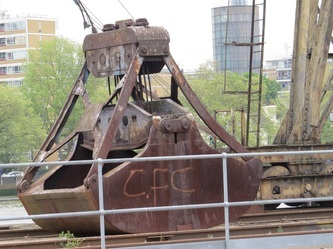 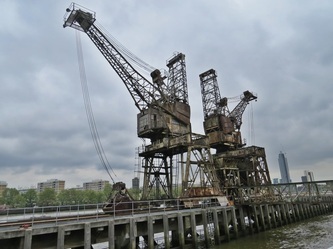 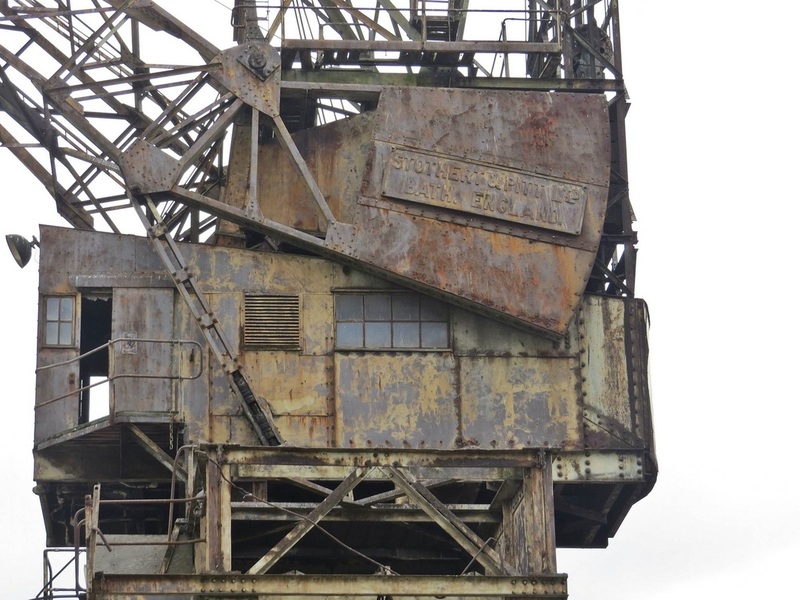 Now the building is an iconic image for Londoners but what about these beautiful cranes on the riverside beside the Power Station in their own state of decay? 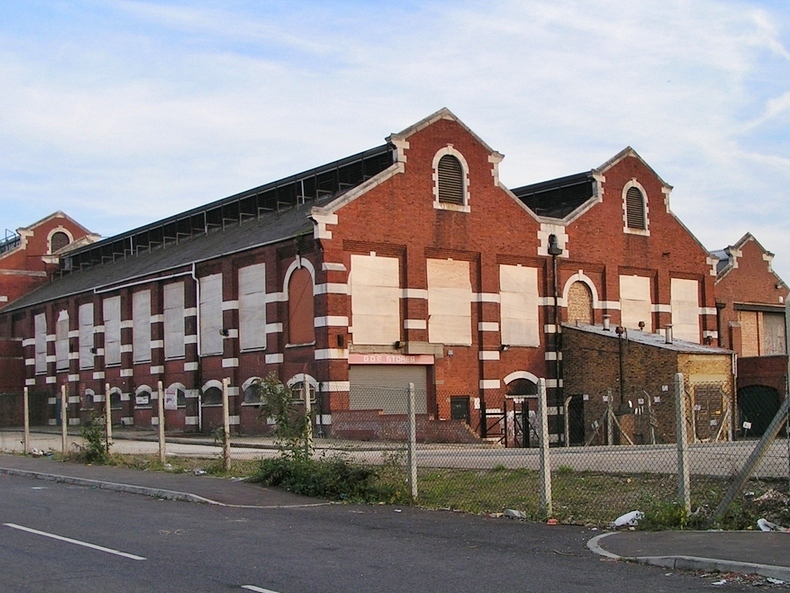 The power station had an annual coal consumption of over 1,000,000 tonnes. 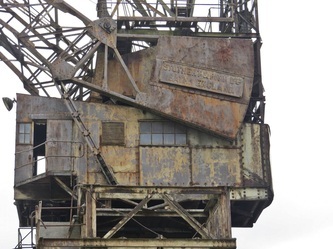 The majority of this coal was delivered to the station from coal ports by coastal collier ships. The ships were "flat-irons" with a low-profile superstructure, fold-down funnel and masts to fit under bridges over the Thames above the Pool of London. The jetty facilities used these two cranes to offload coal, with the capacity of unloading two ships at one time, at a rate of 480 tonnes an hour. 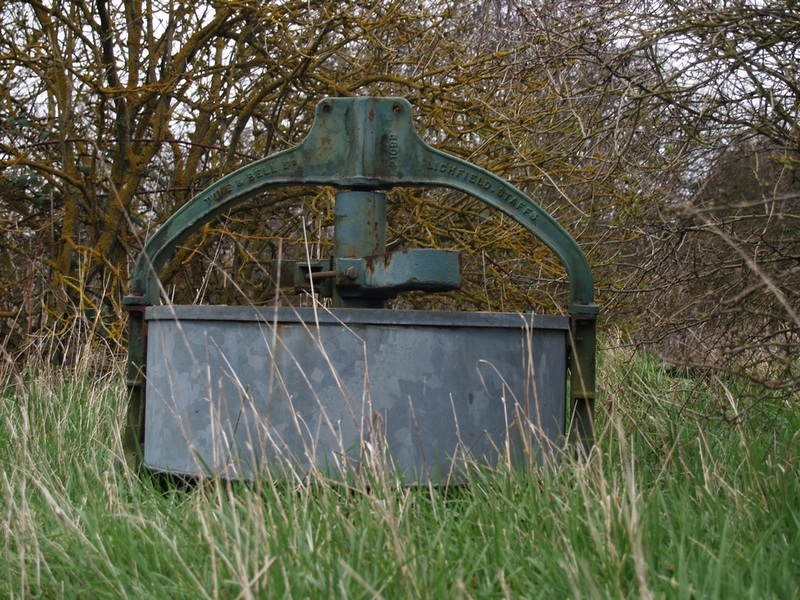 A conveyor belt system was then used to take coal to the coal storage area or directly to the station's boiler rooms. 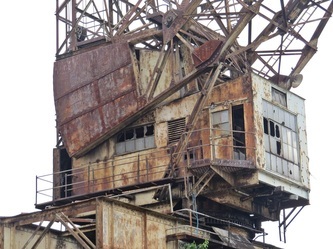 The conveyor belt system consisted of a series of bridges connected by towers. 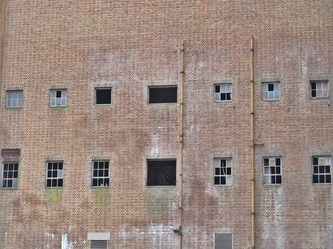 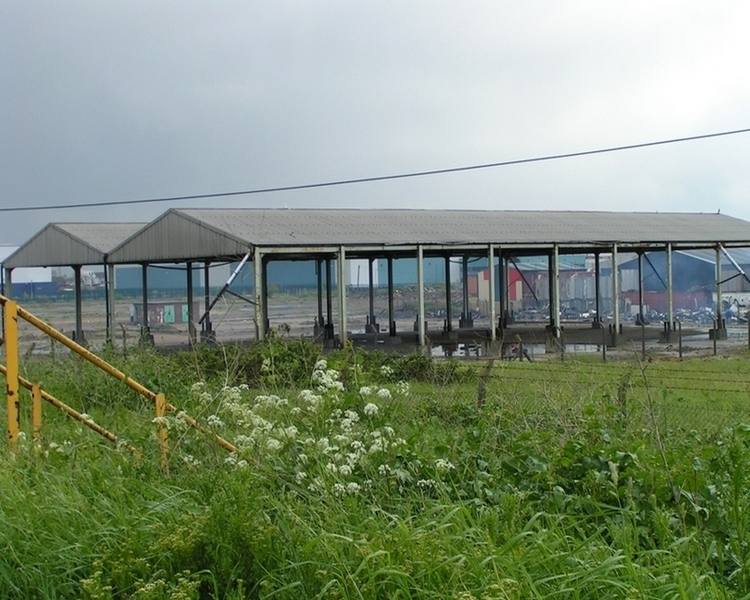 The coal storage area was a large concrete box capable of holding 75,000 tonnes of coal. 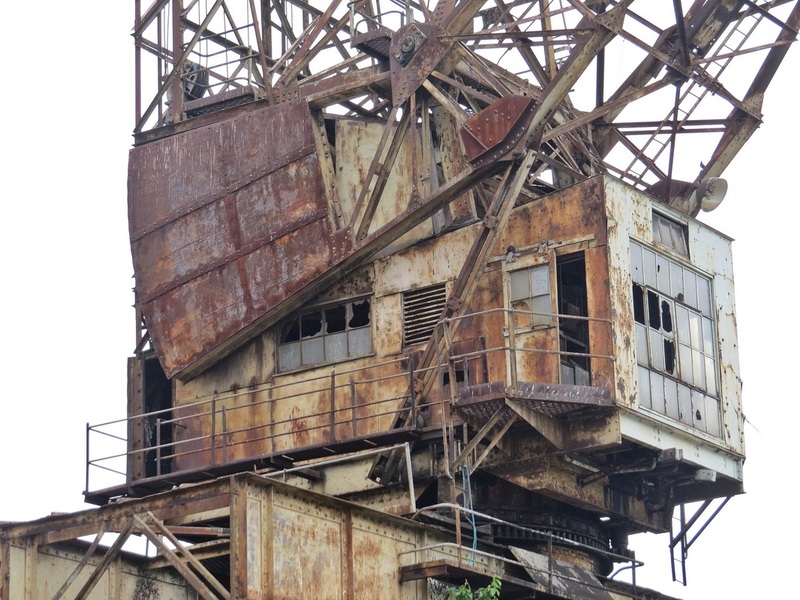 This had an overhead gantry with a conveyor belt attached to the conveyor belt system, for taking coal from the coal store to the boiler rooms.